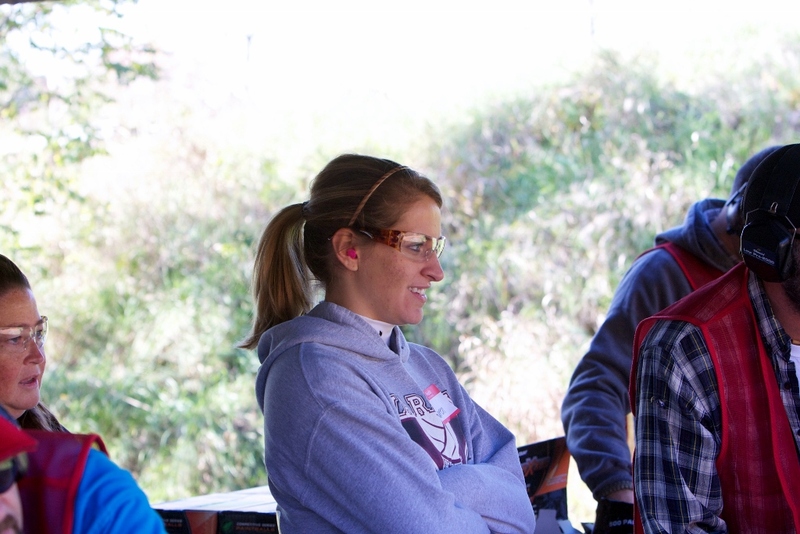 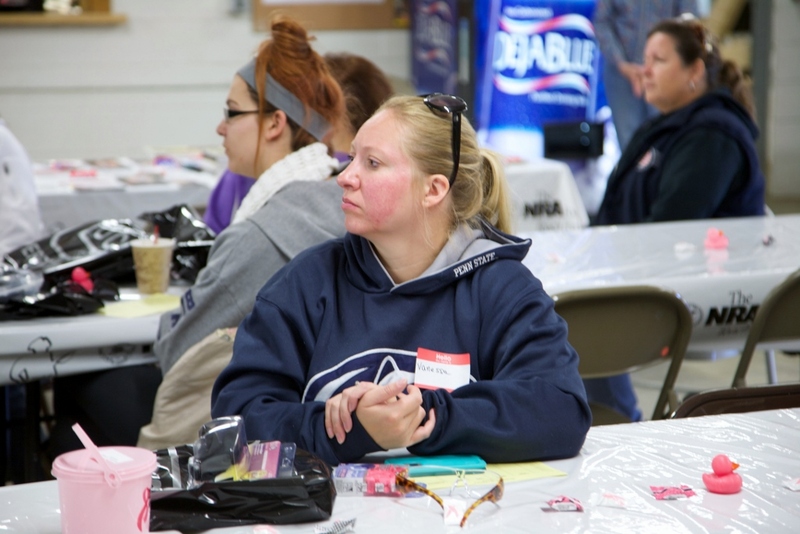 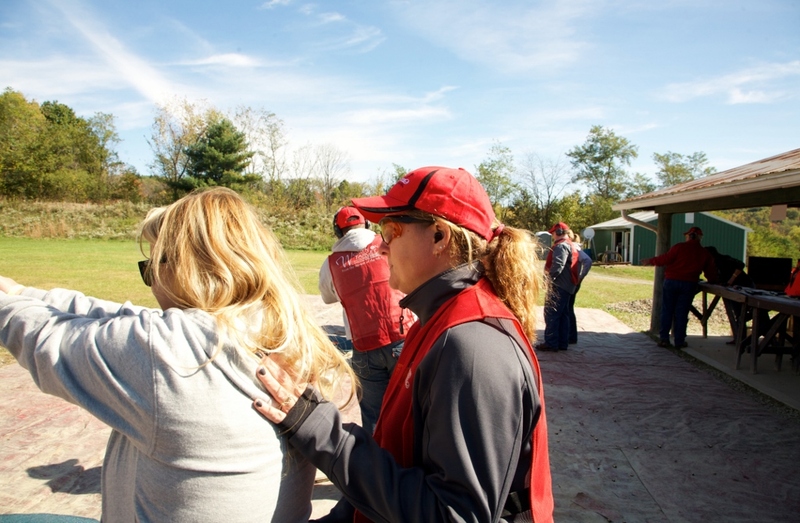 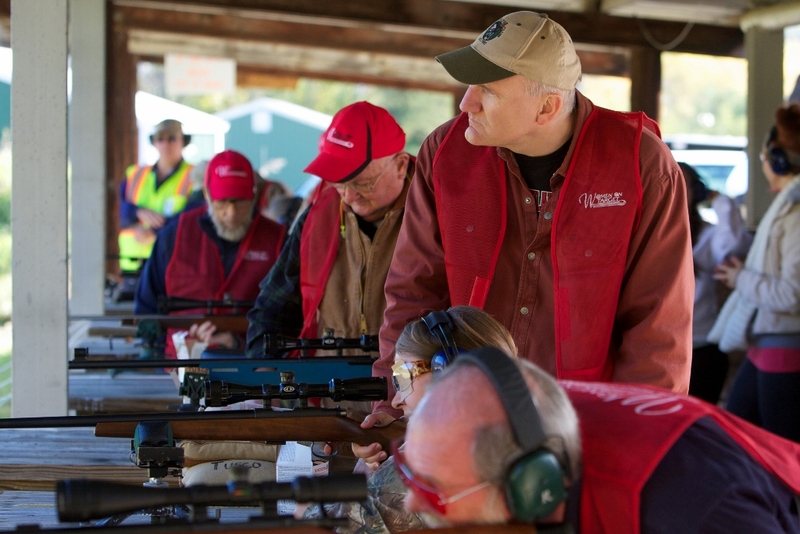 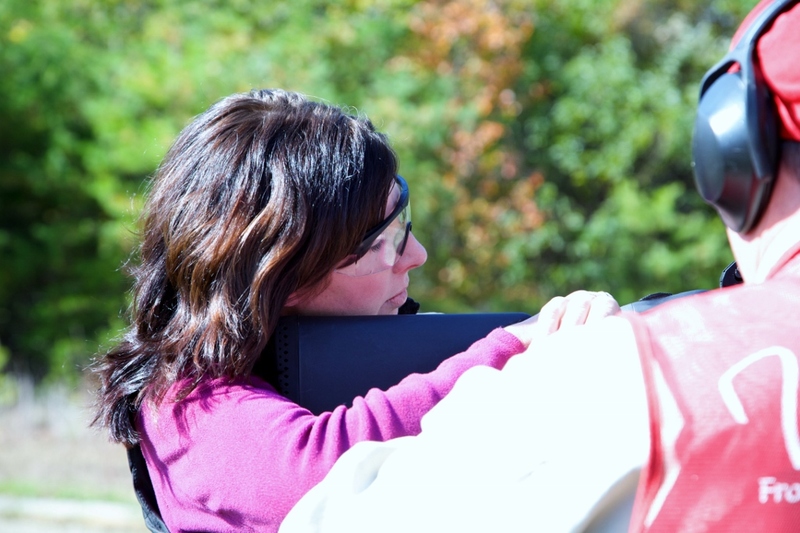 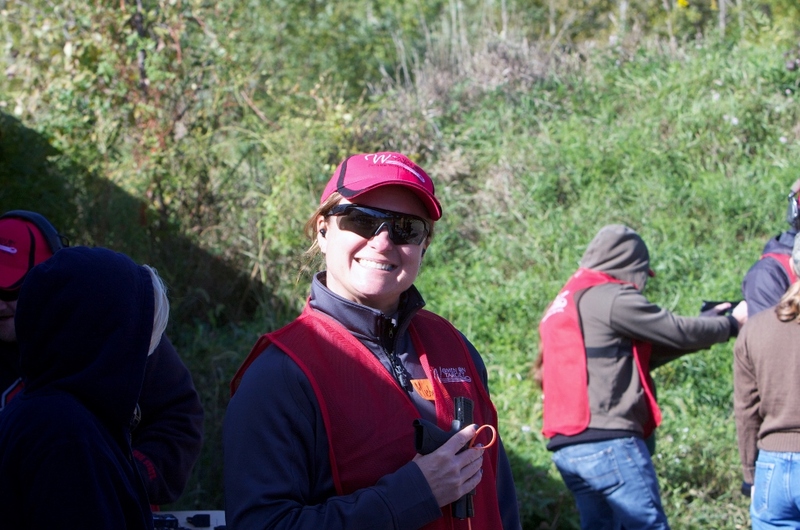 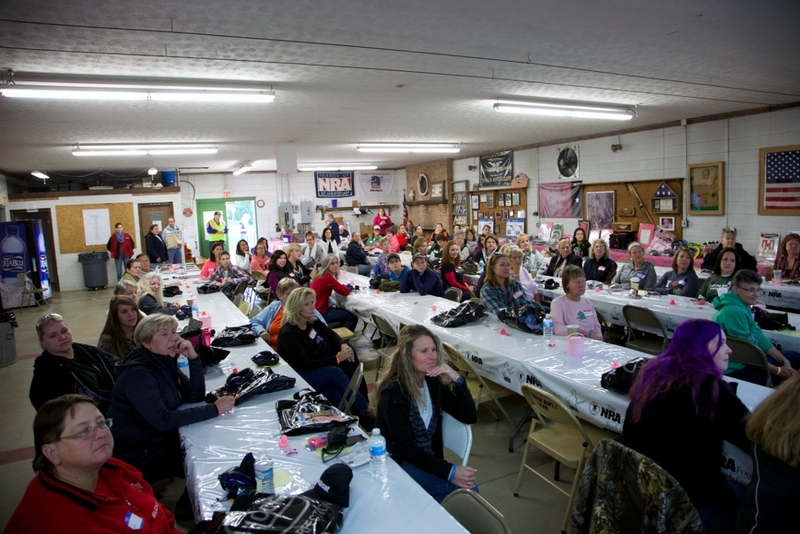 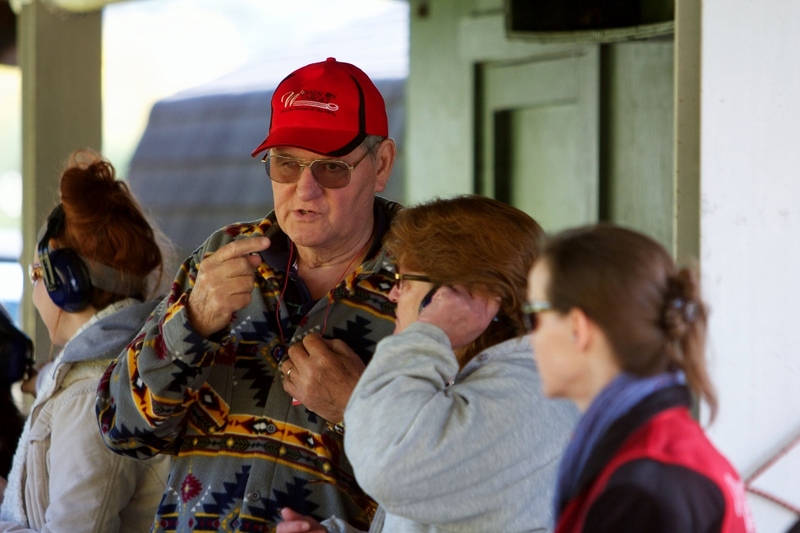 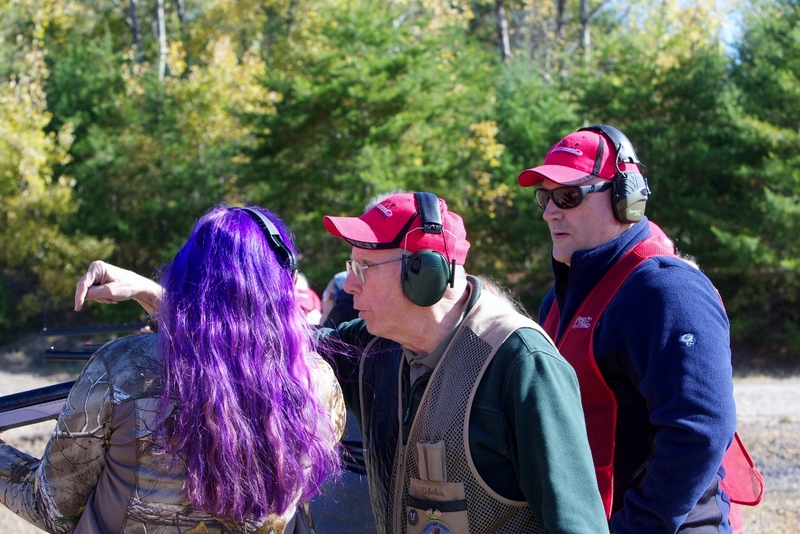 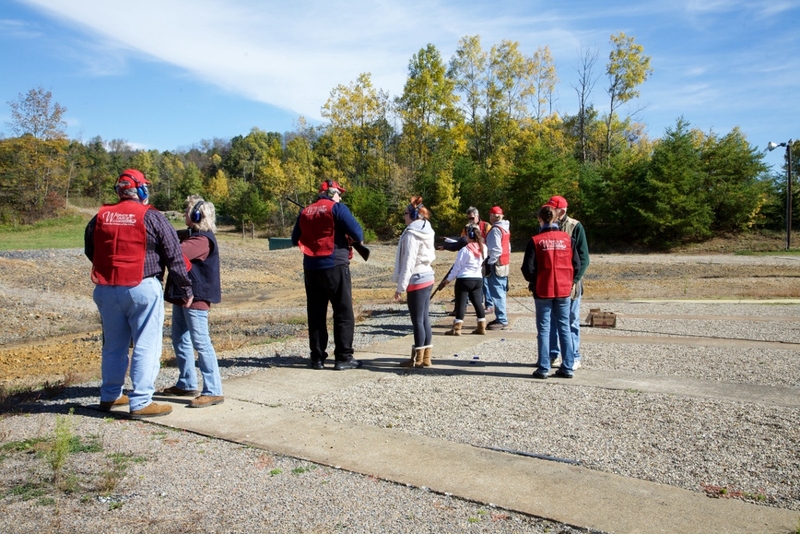 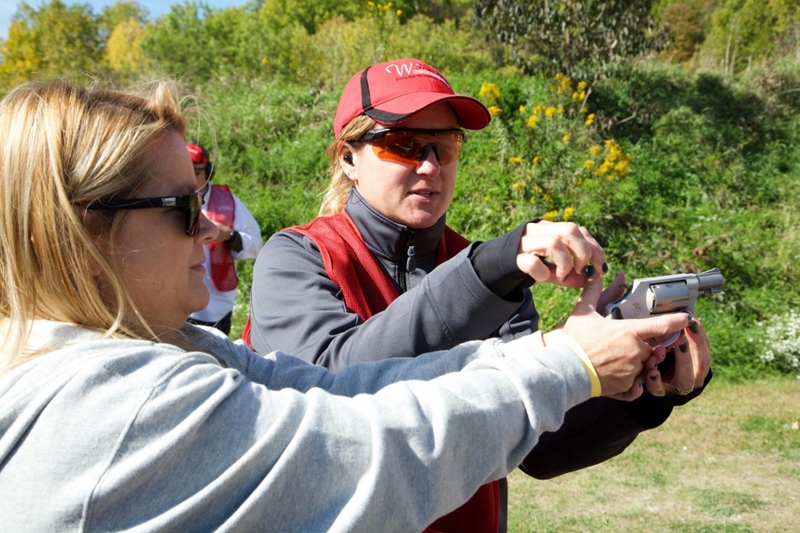 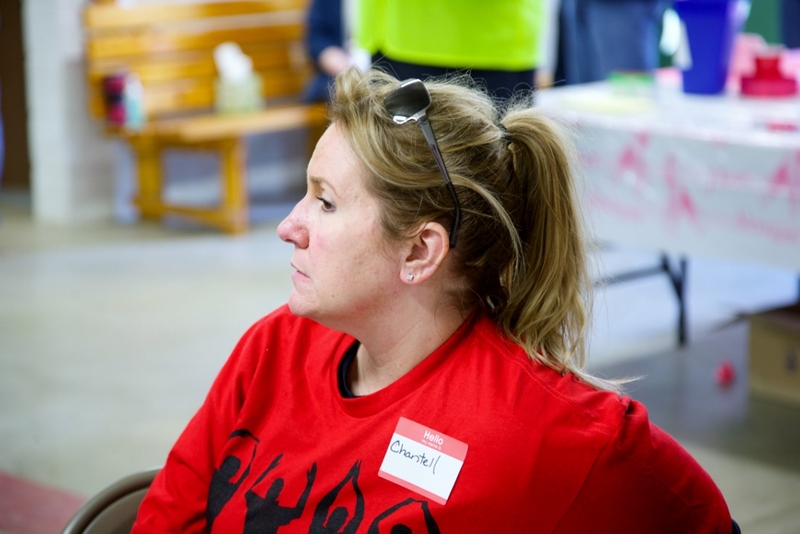 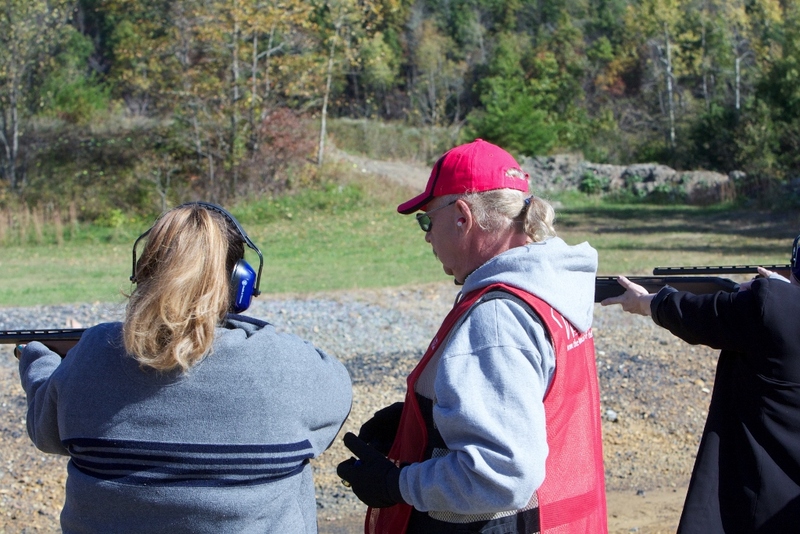 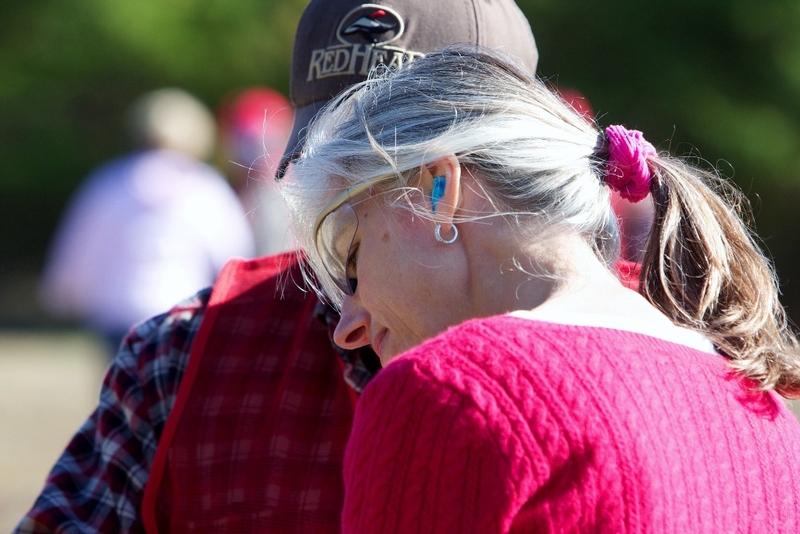 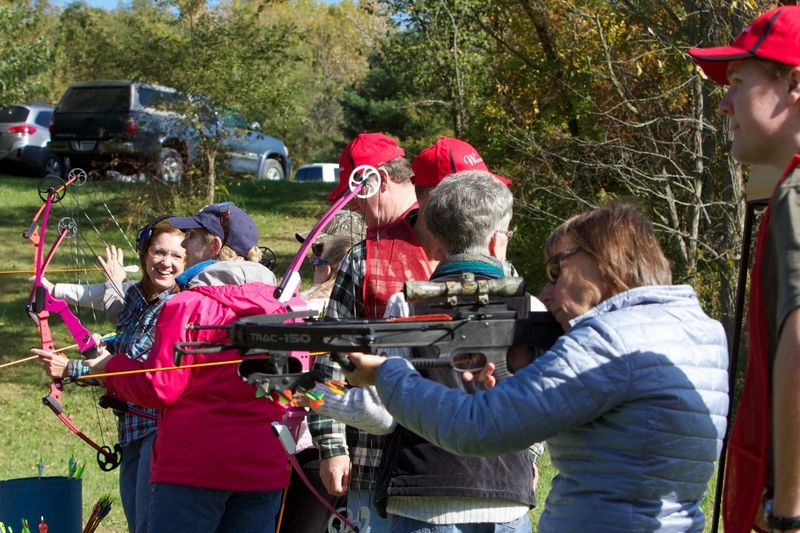 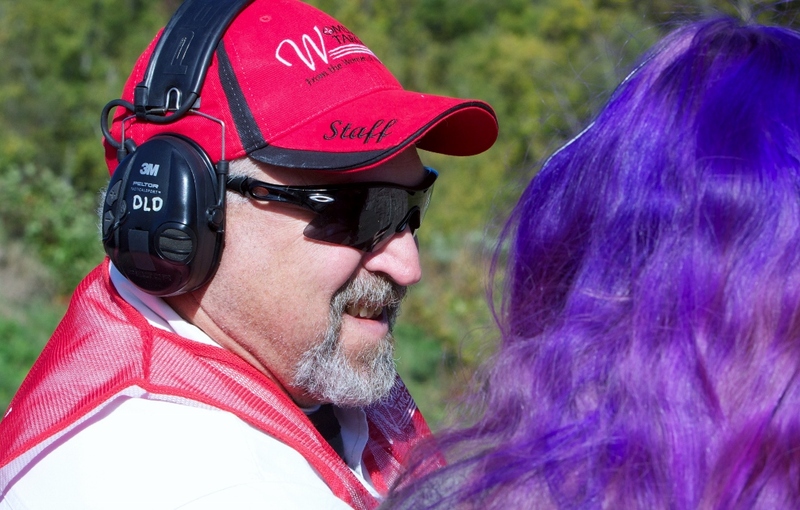 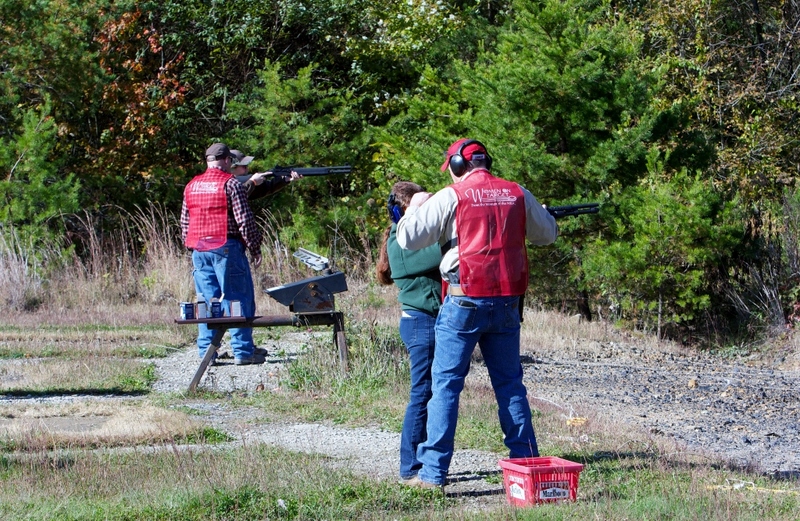 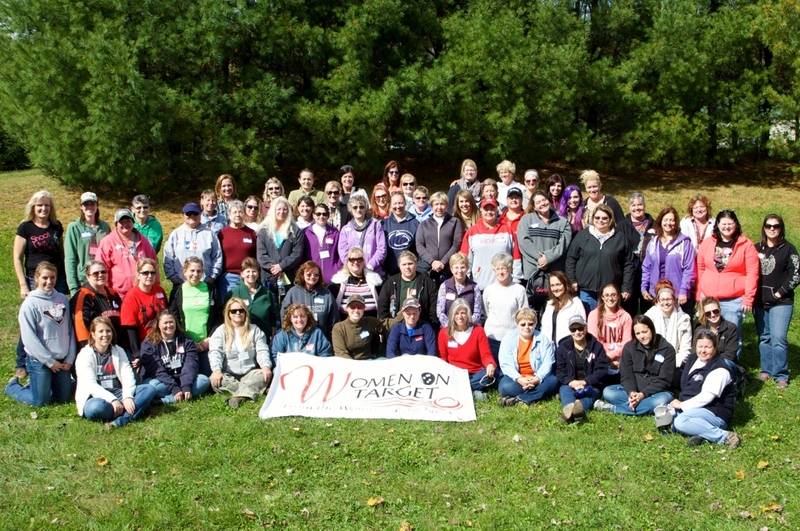 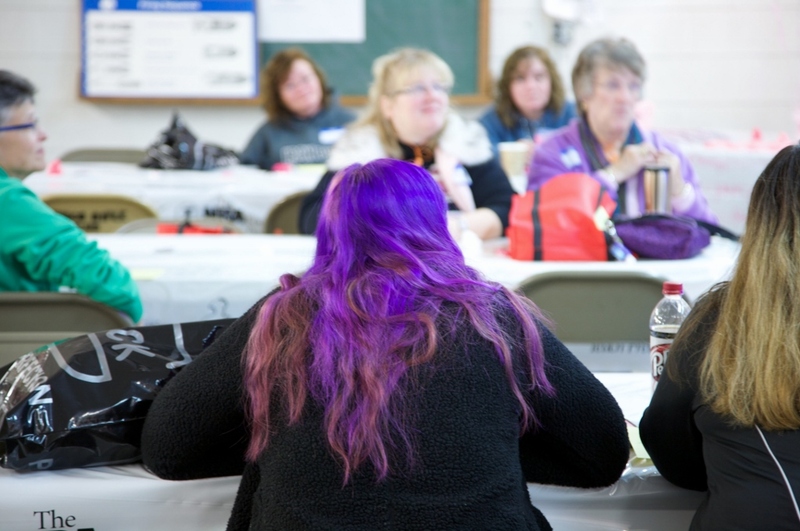 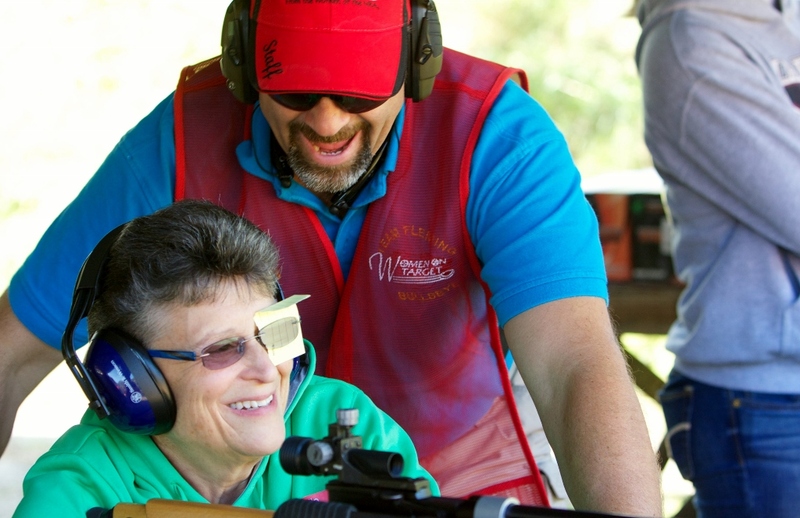 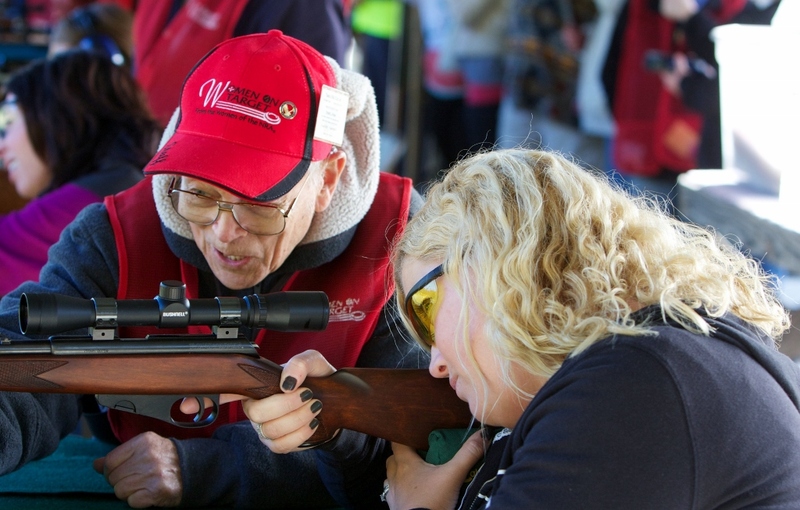 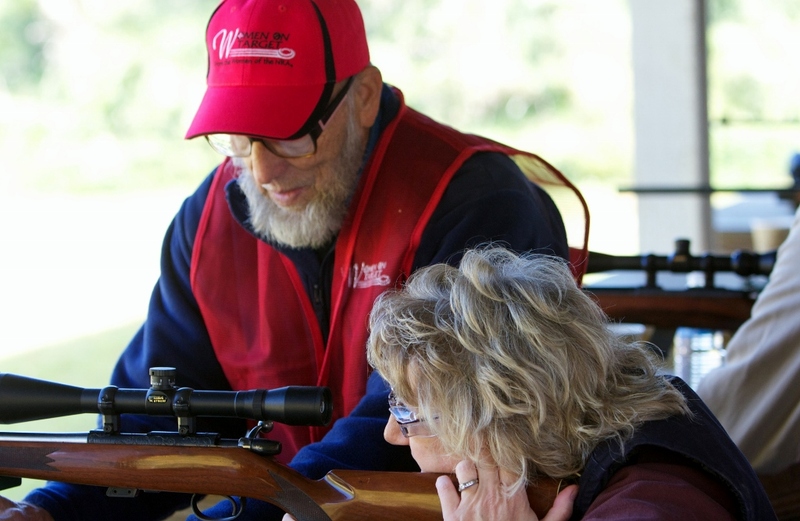 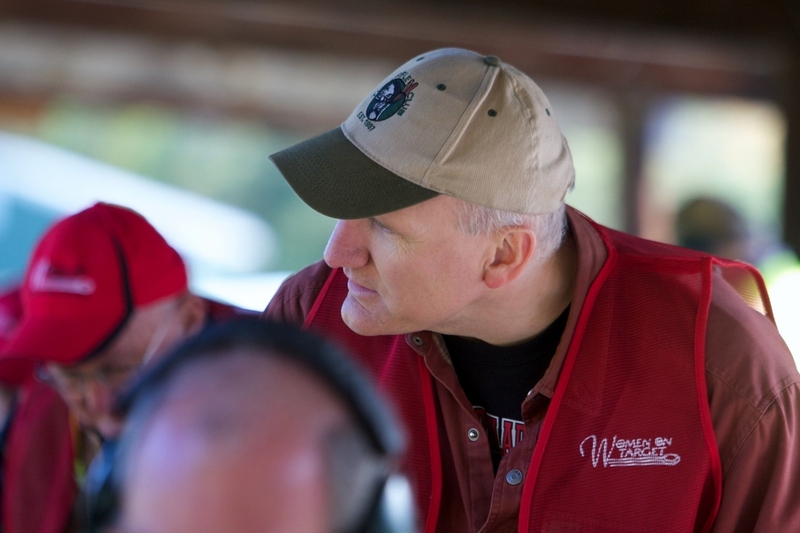 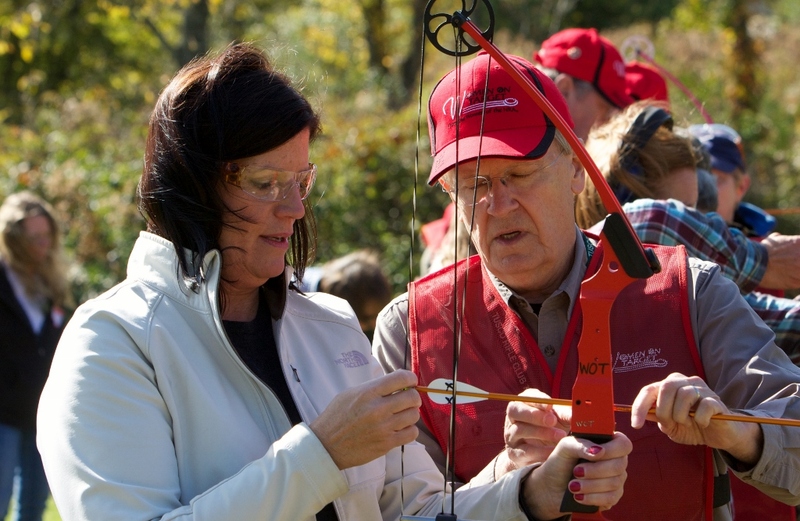 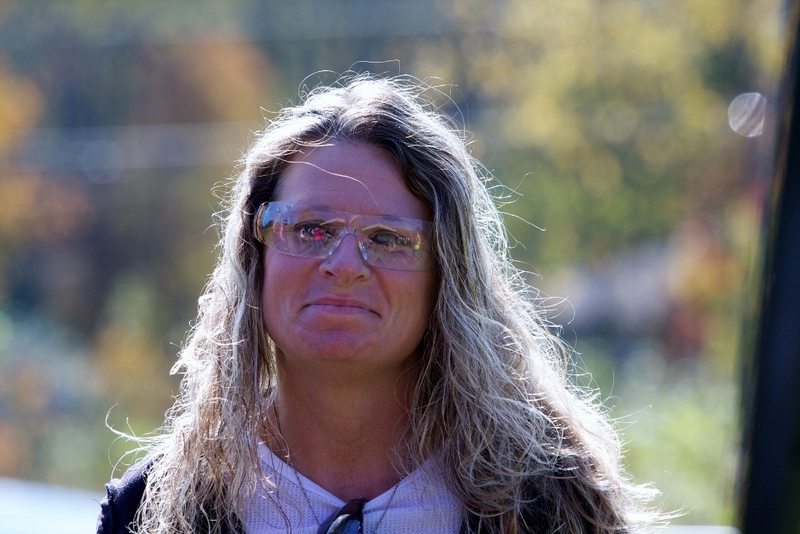 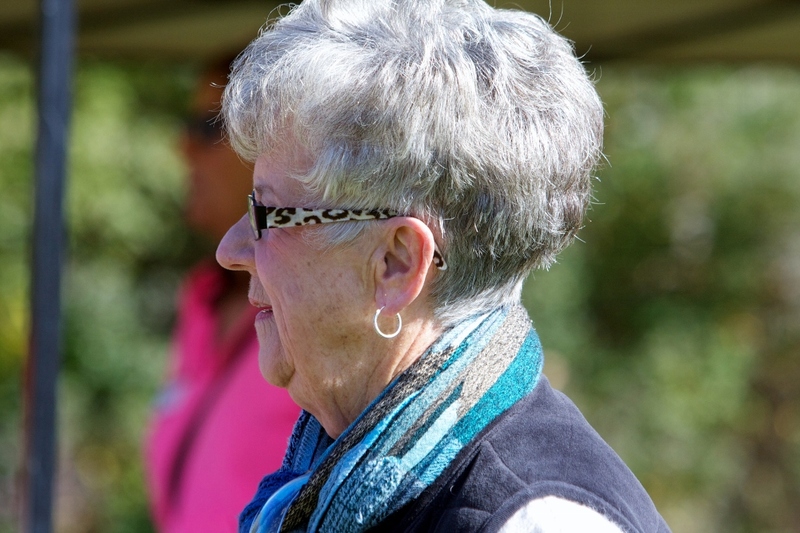 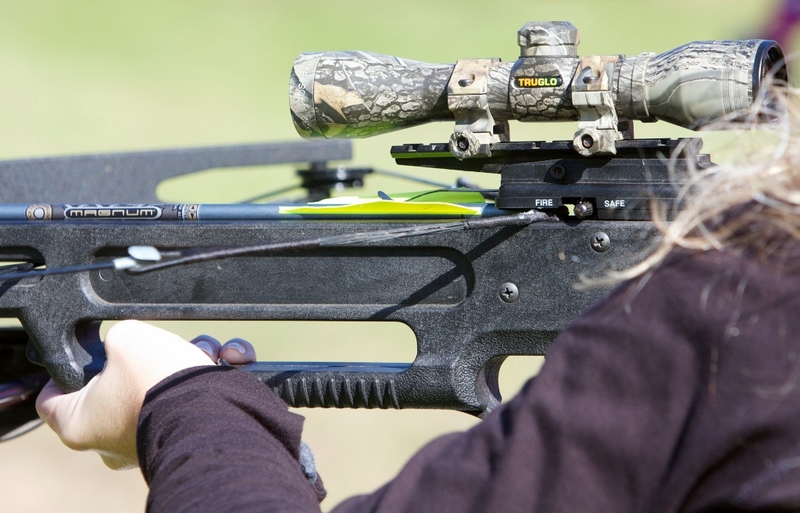 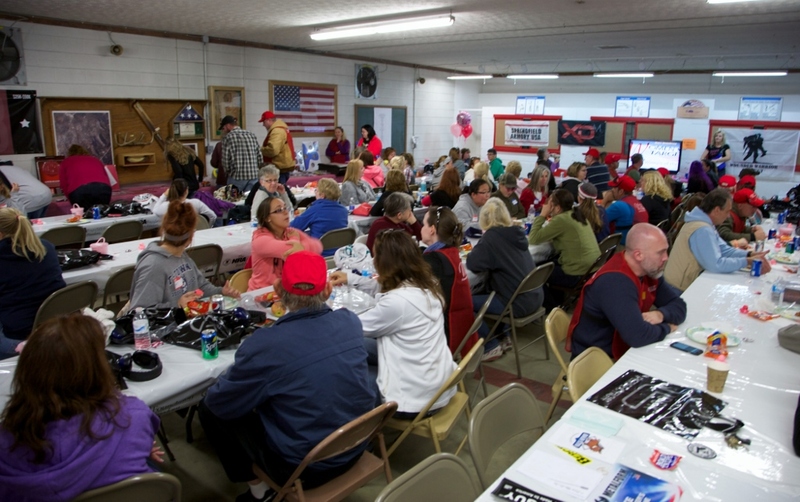 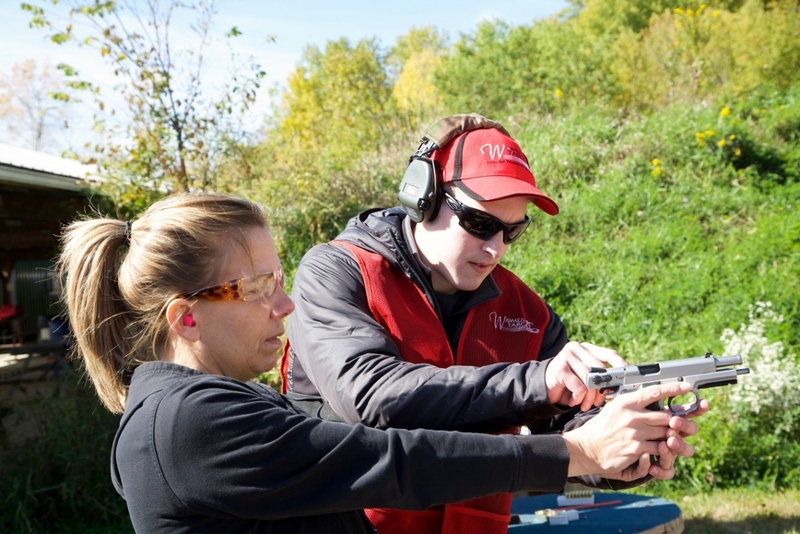 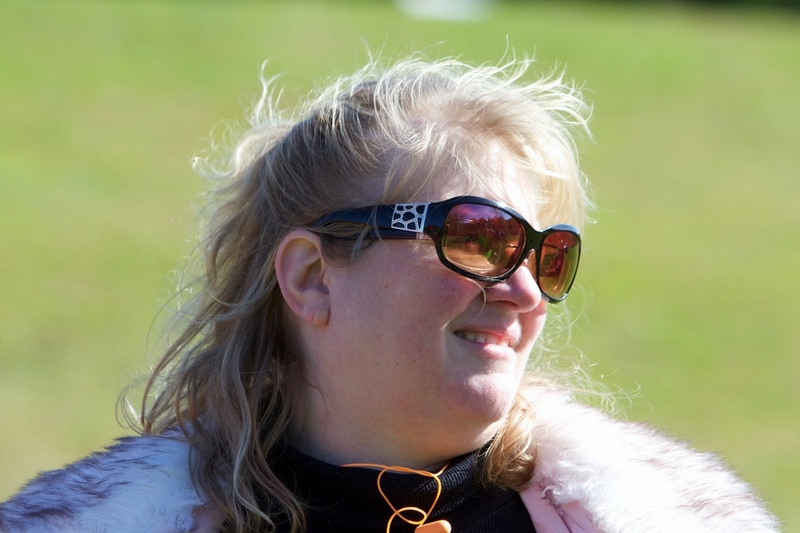 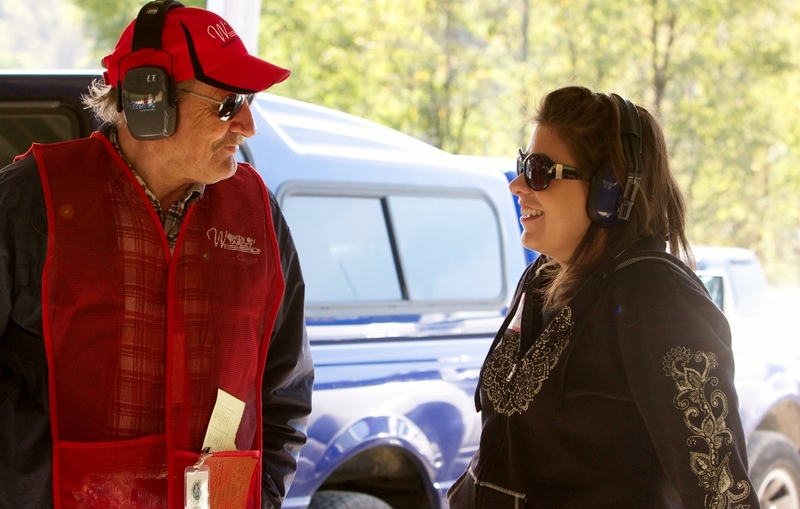 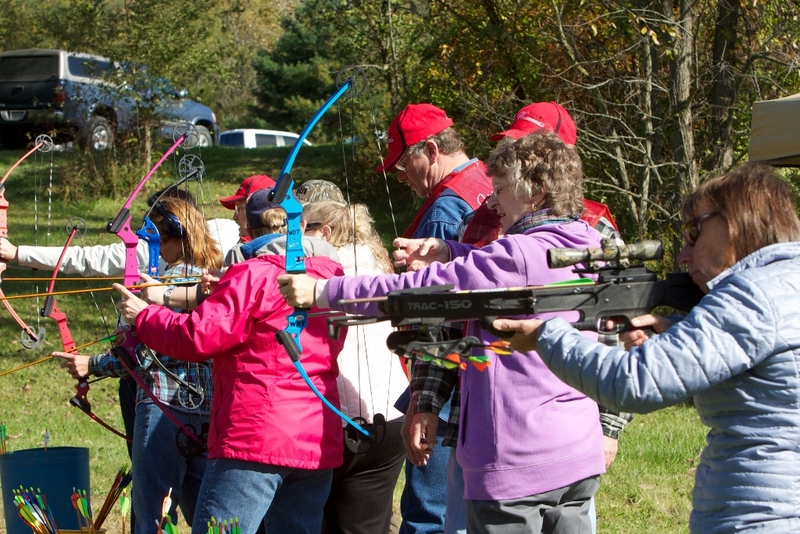 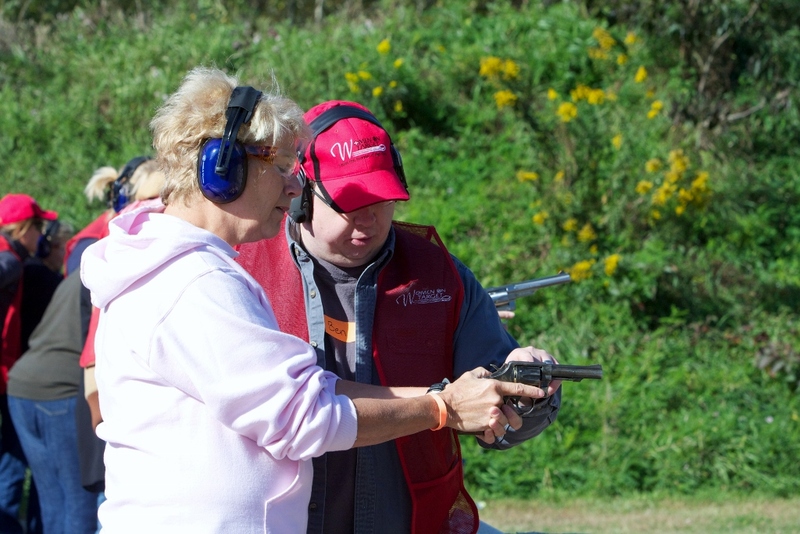 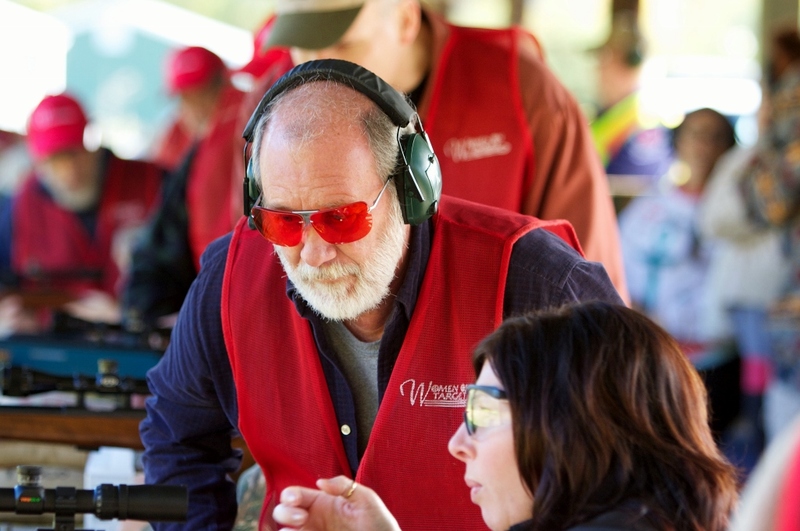 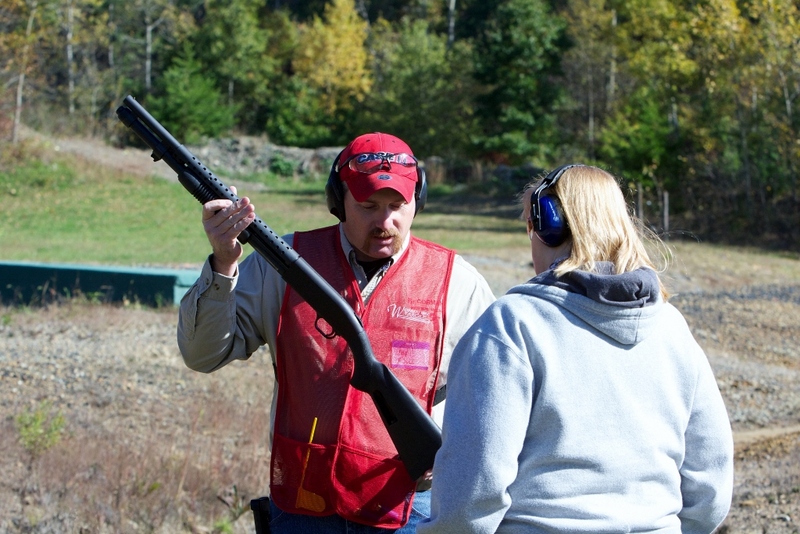 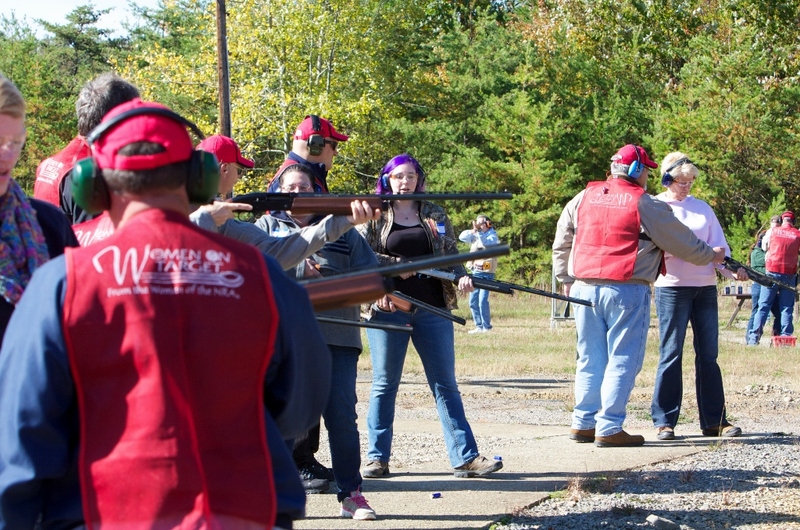 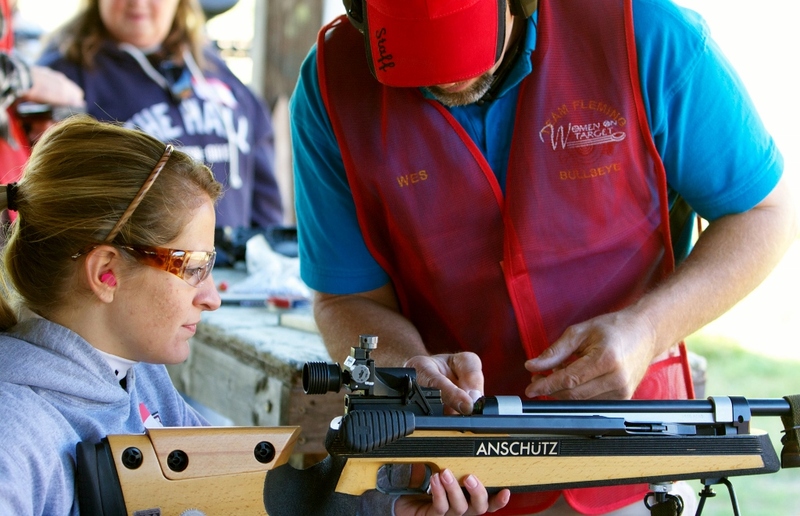 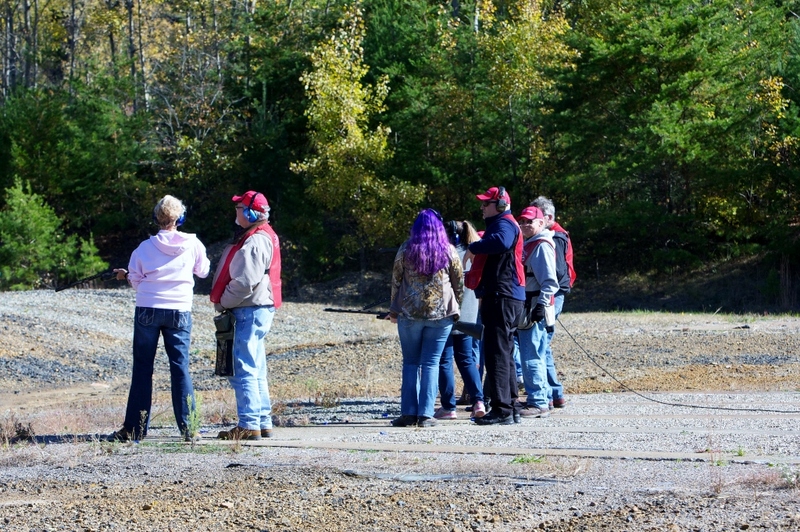 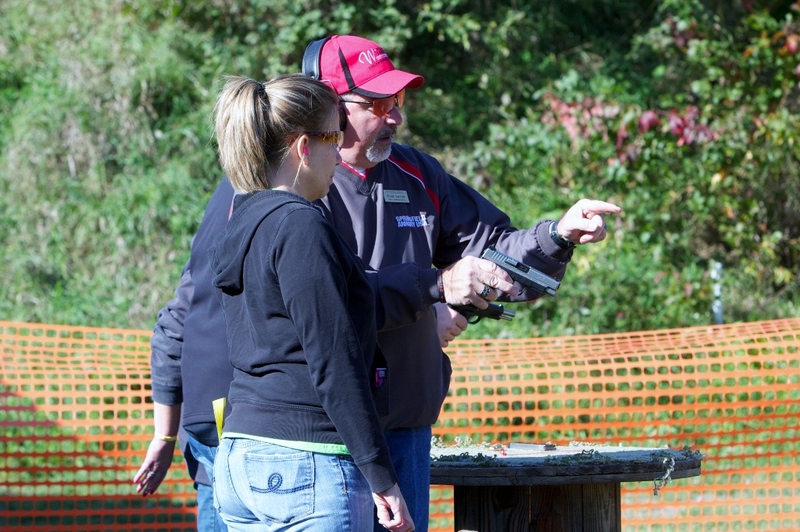 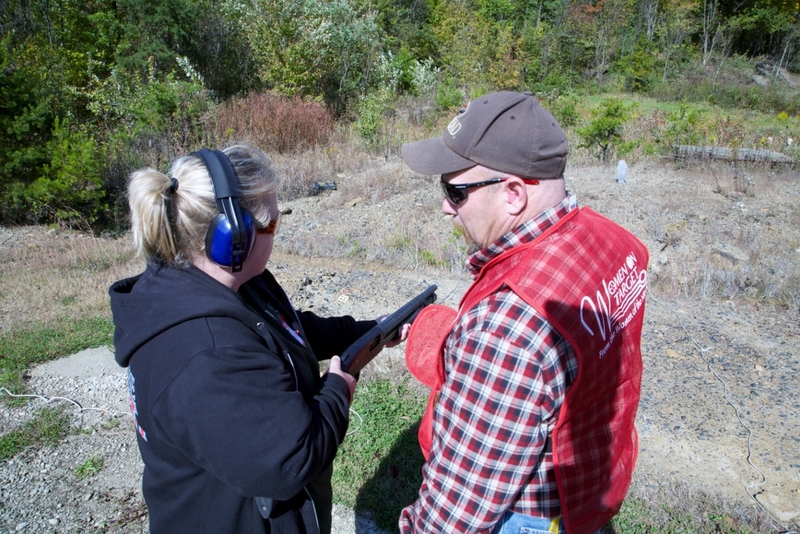 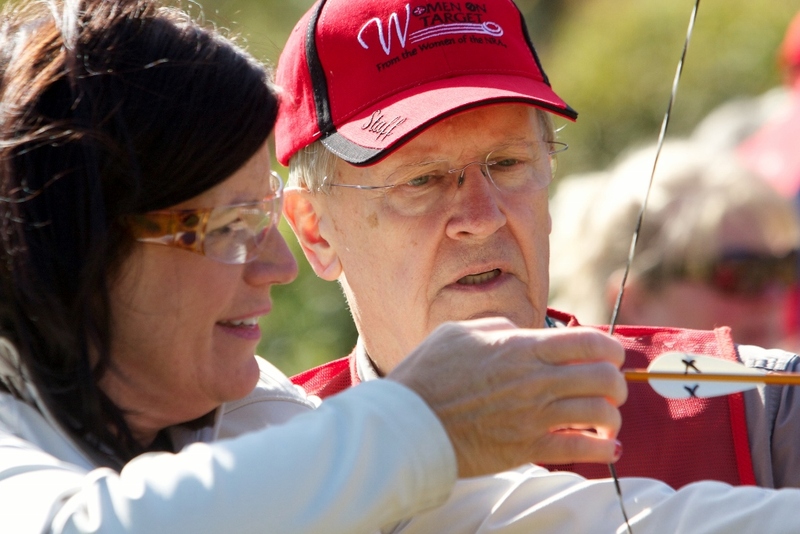 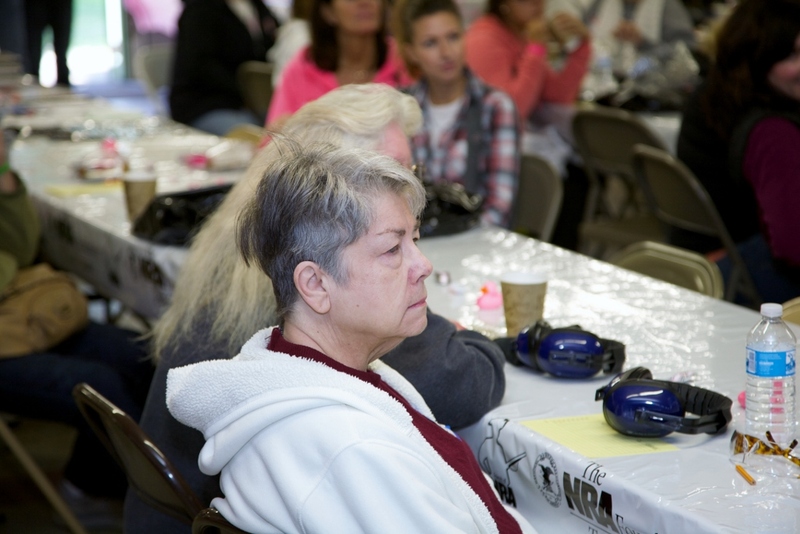 Thank you to everyone who worked so hard and contributed so much to ensure the Eleventh Annual Women on Target clinic held on October 11, 2014 was a phenomenal success. 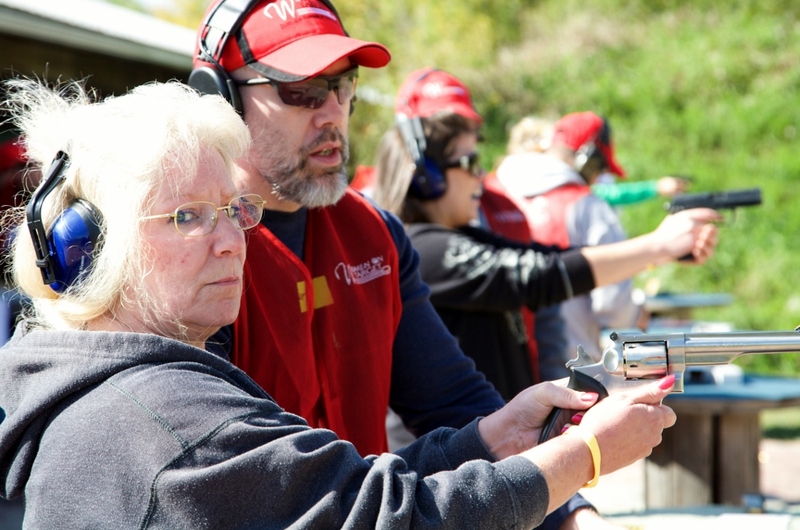 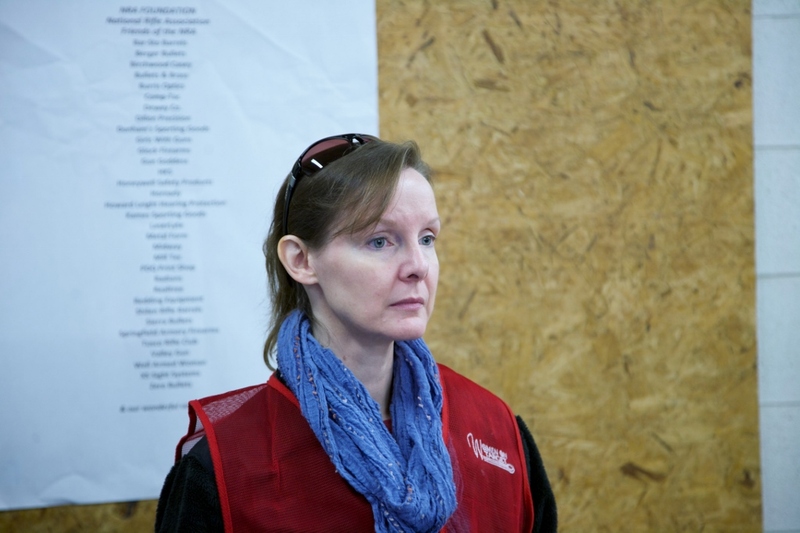 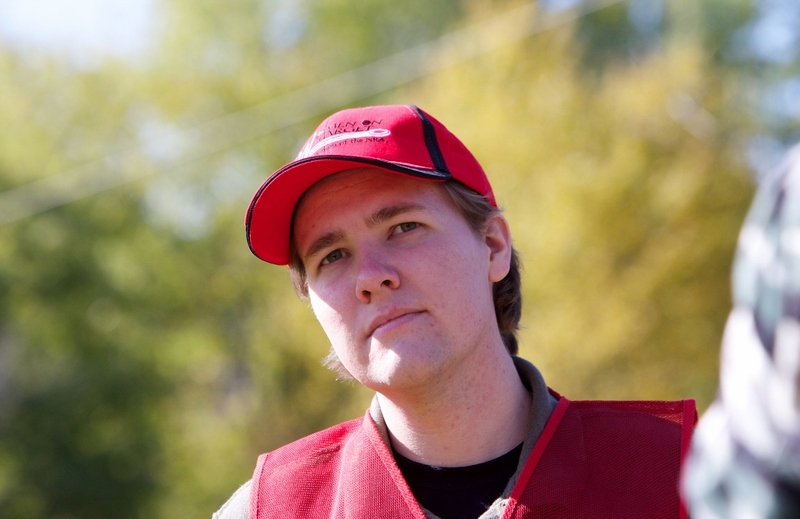 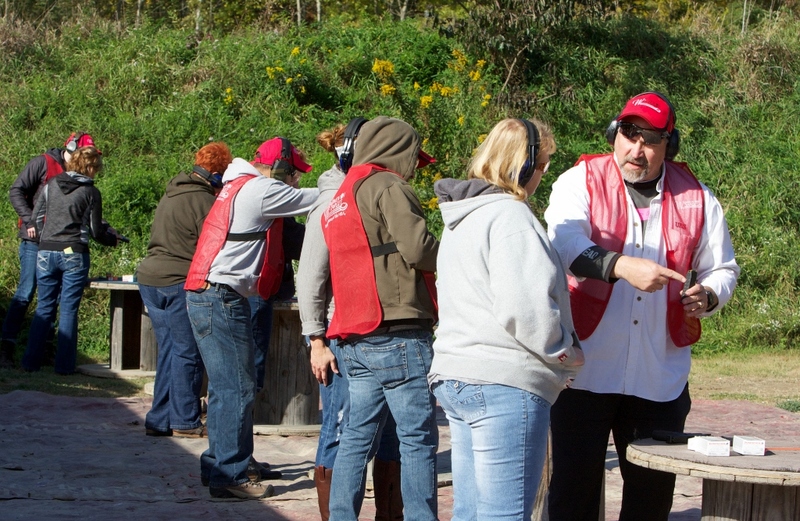 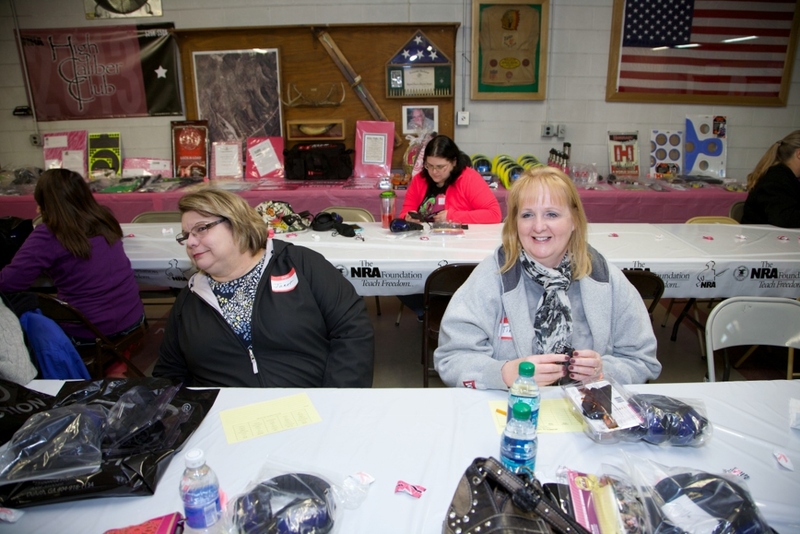 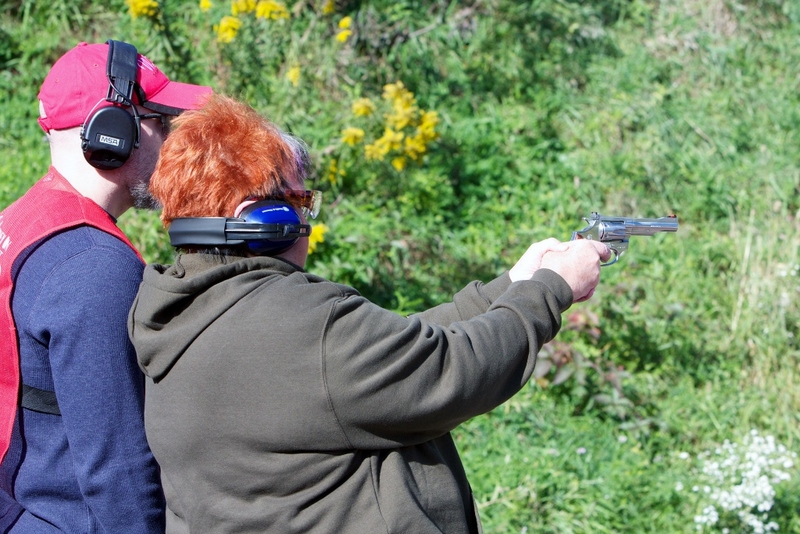 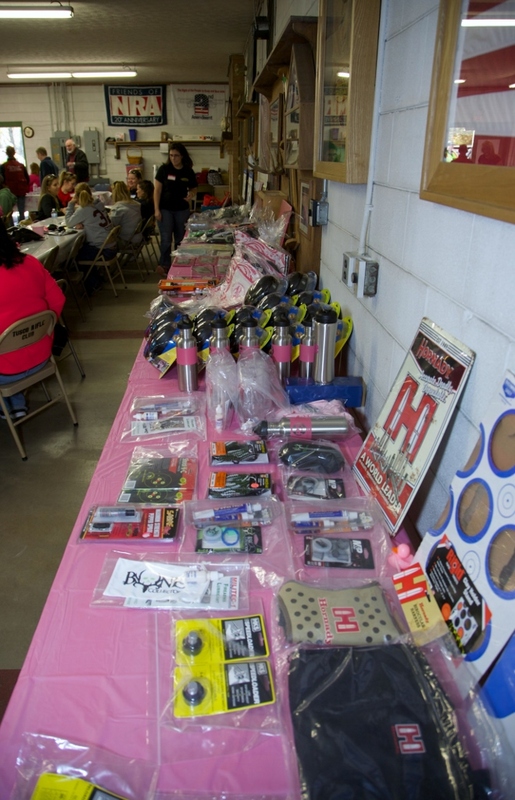 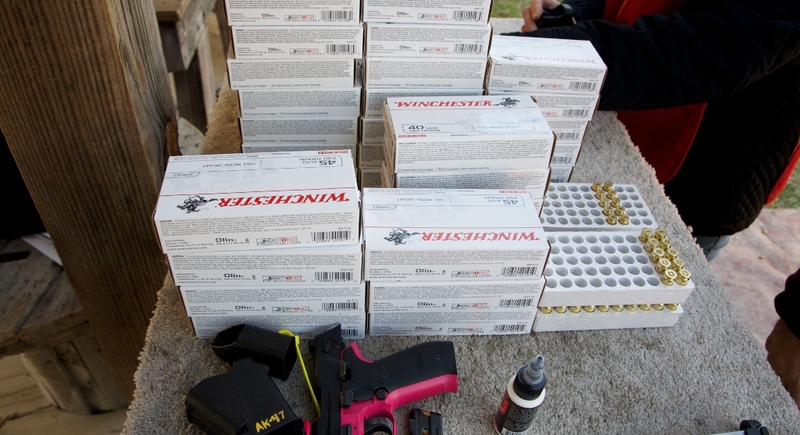 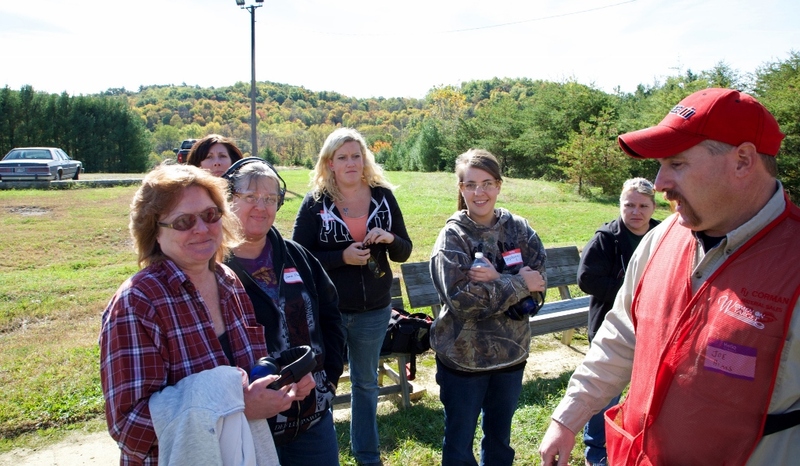 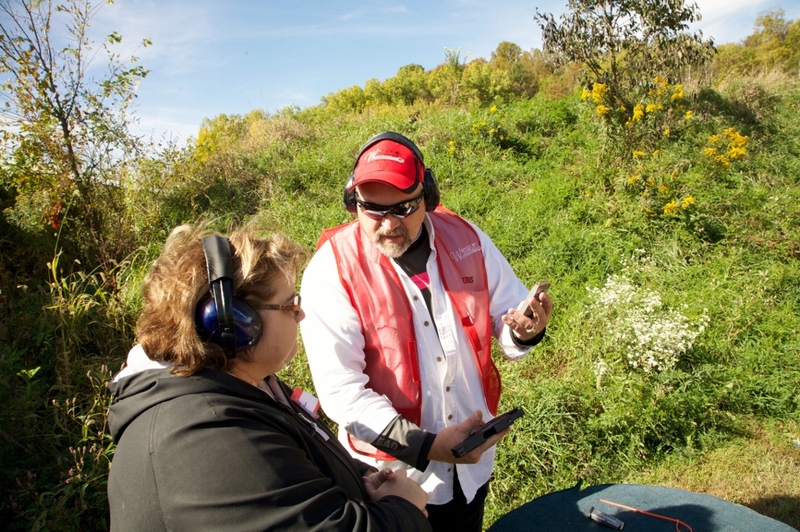 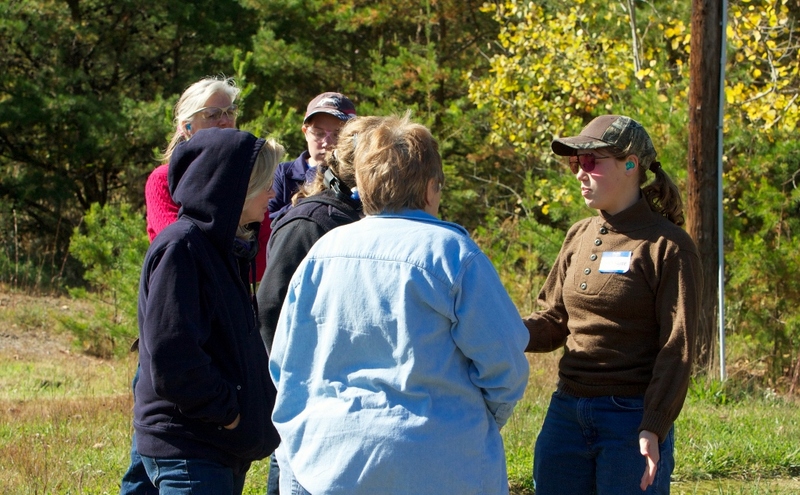 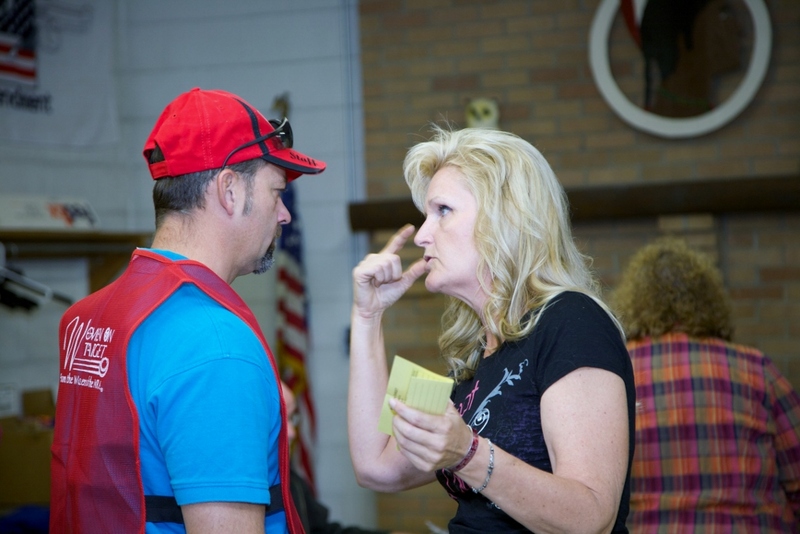 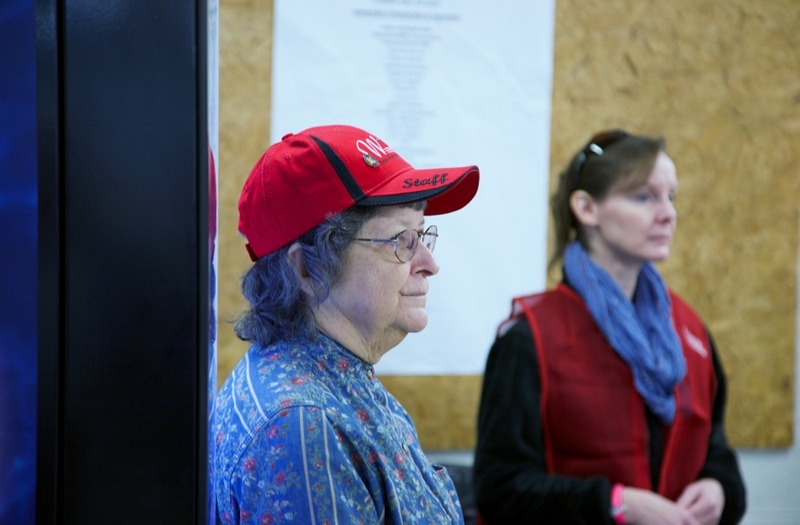 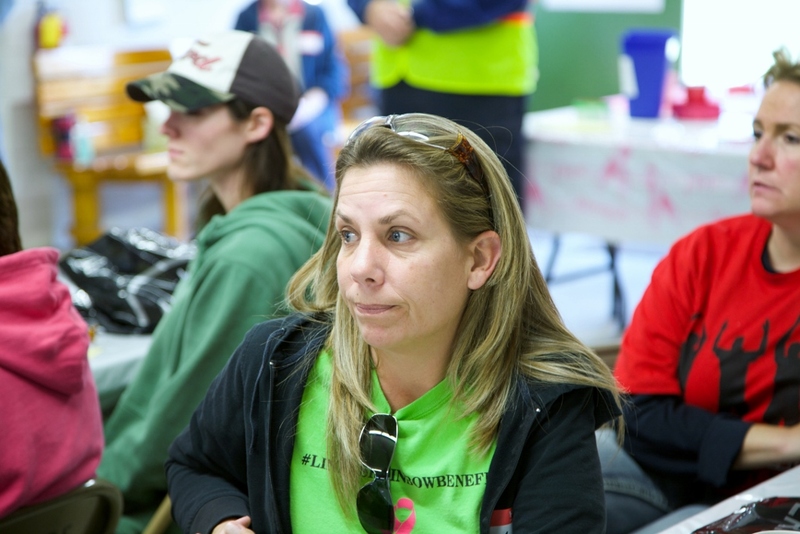 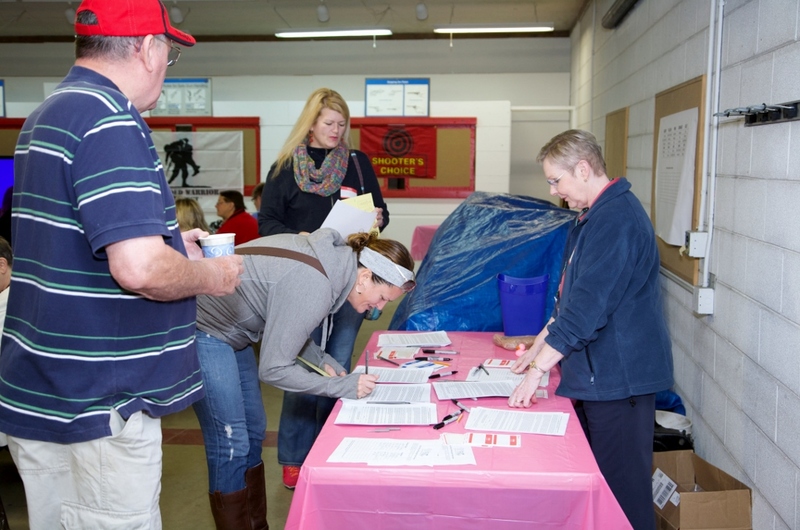 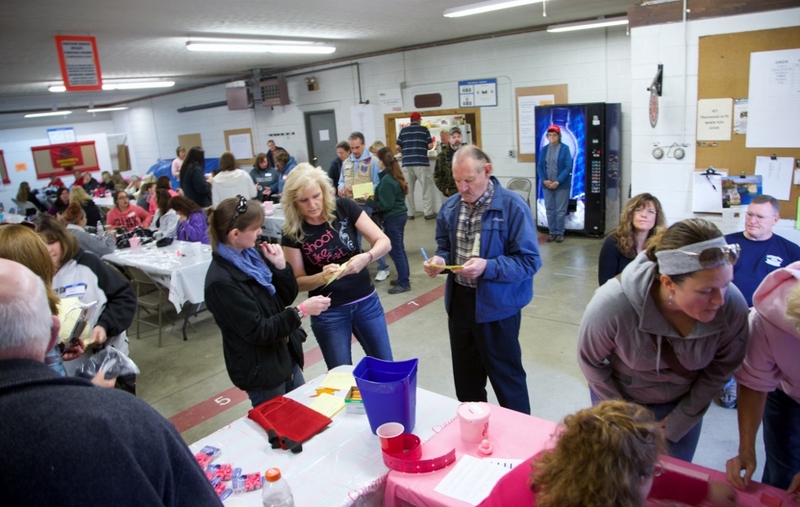 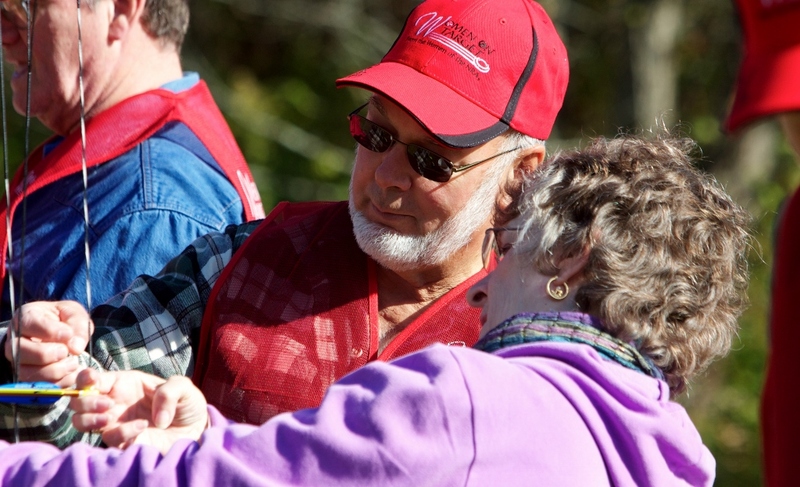 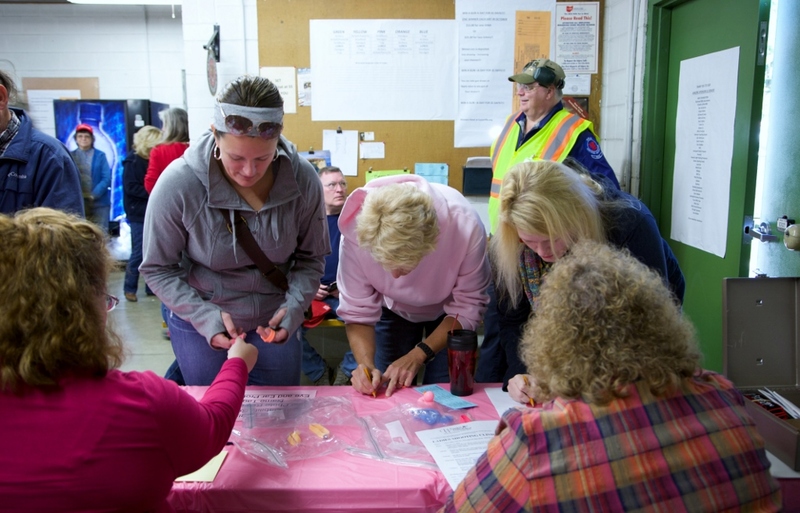 Over 65 women participated with almost 70 volunteers giving generously of their time and firearms. 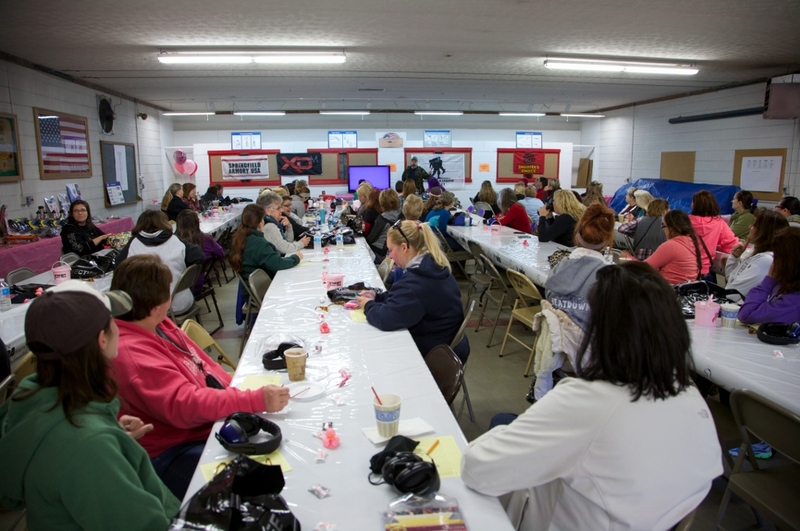 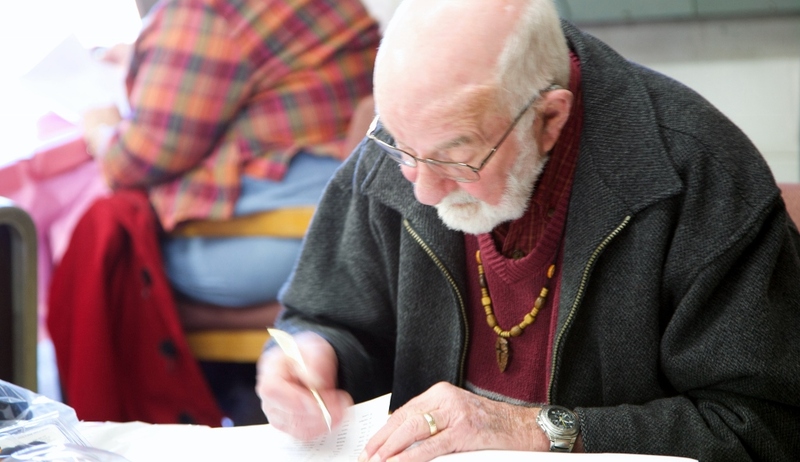 We had to limit the number of participants due to time, space and monetary constraints but we could have easily filled two clinics. 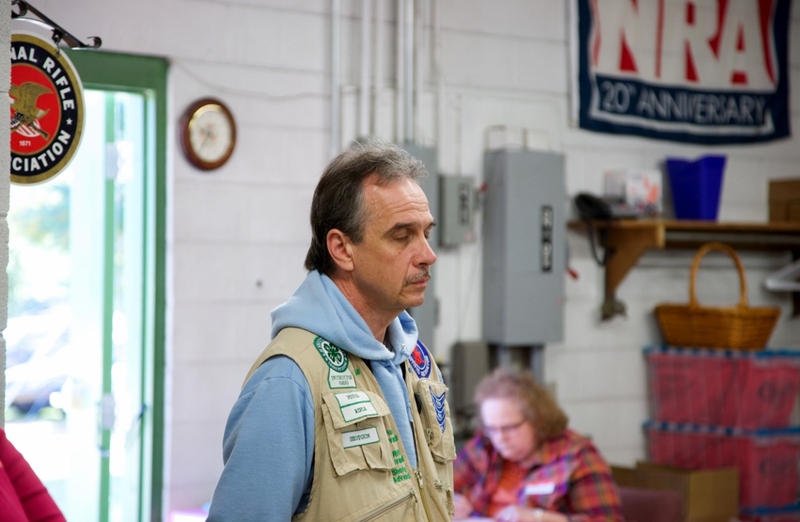 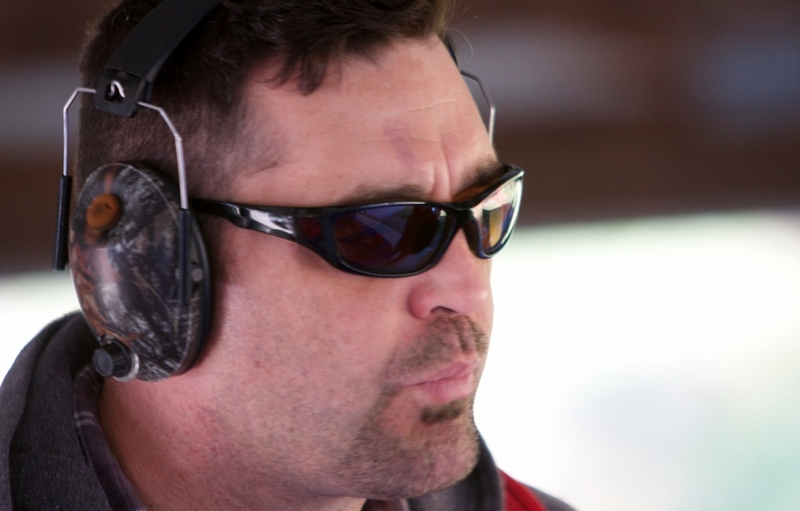 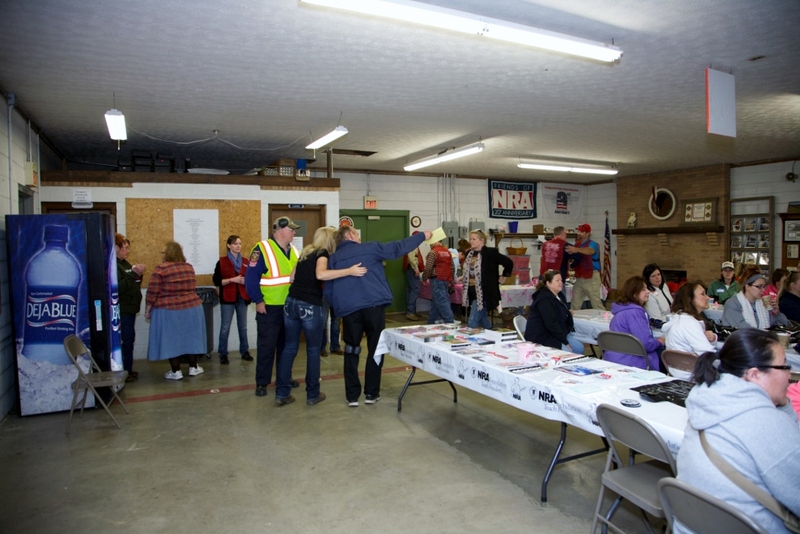 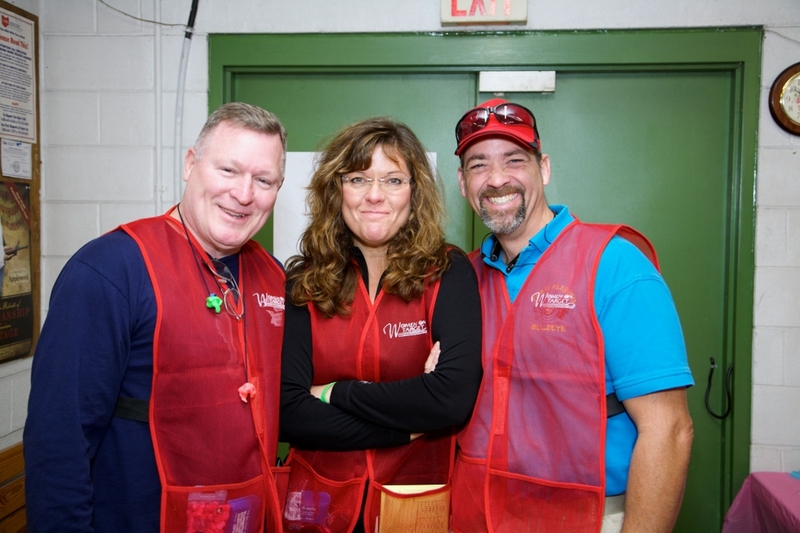 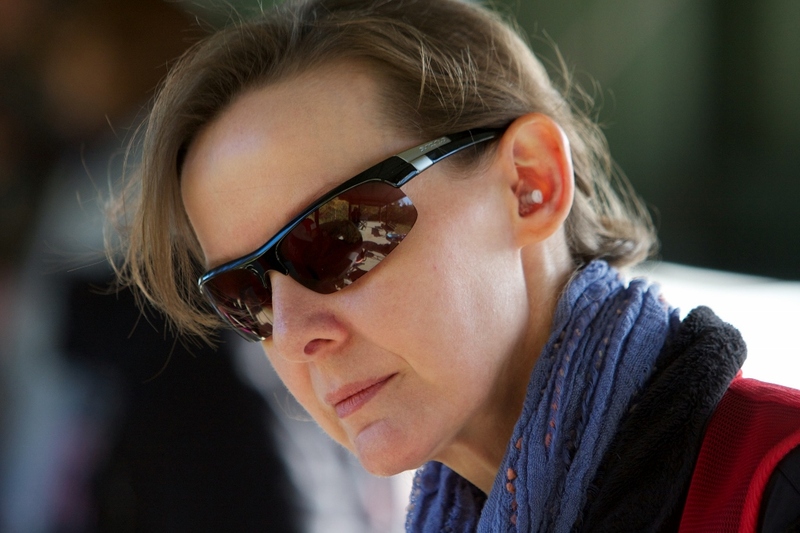 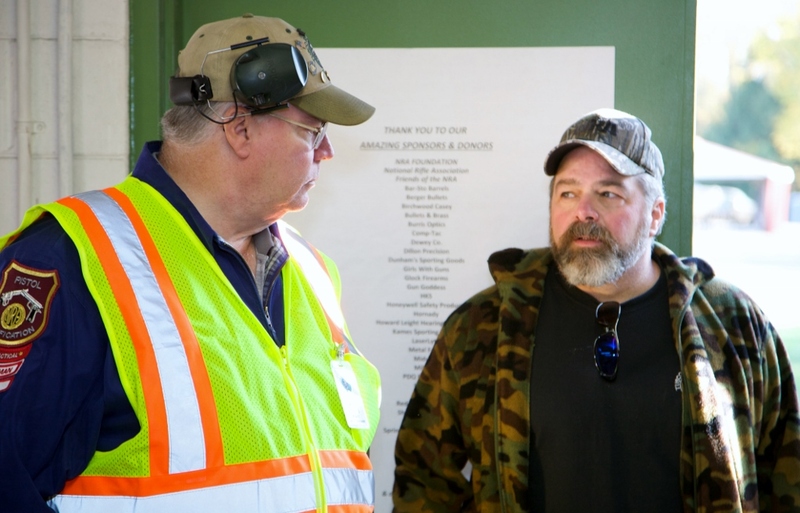 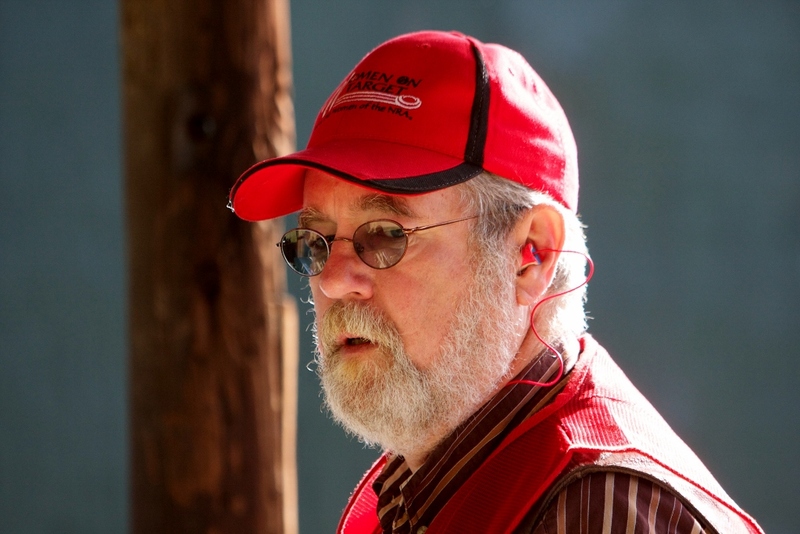 This amazing clinic was presented with the generous funding of the National Rifle Association Foundation and the Friends of the NRA as well as the outpouring of support from firearm community vendors and Tusco Rifle Club. 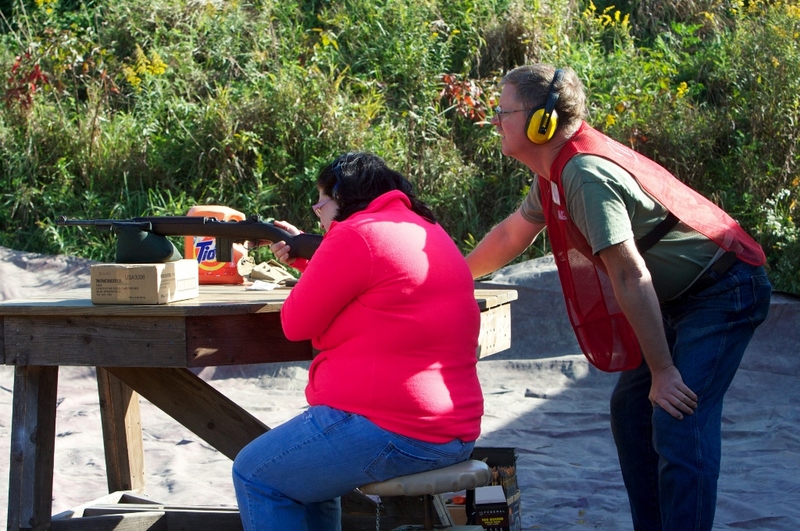 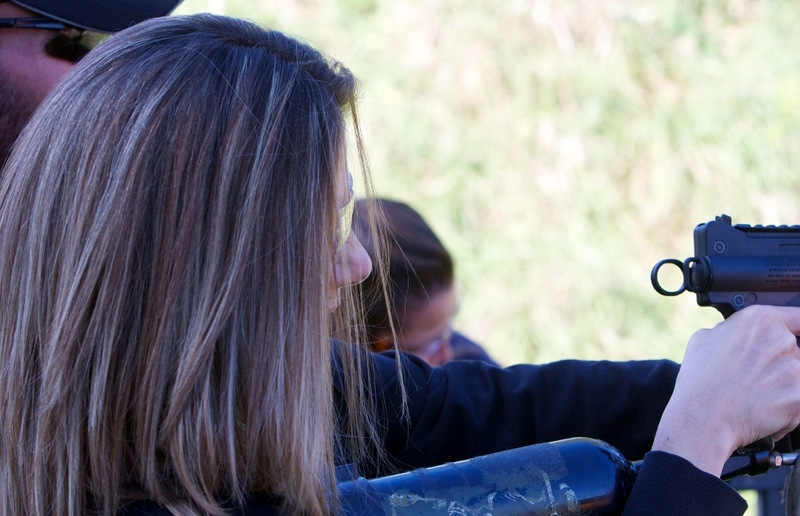 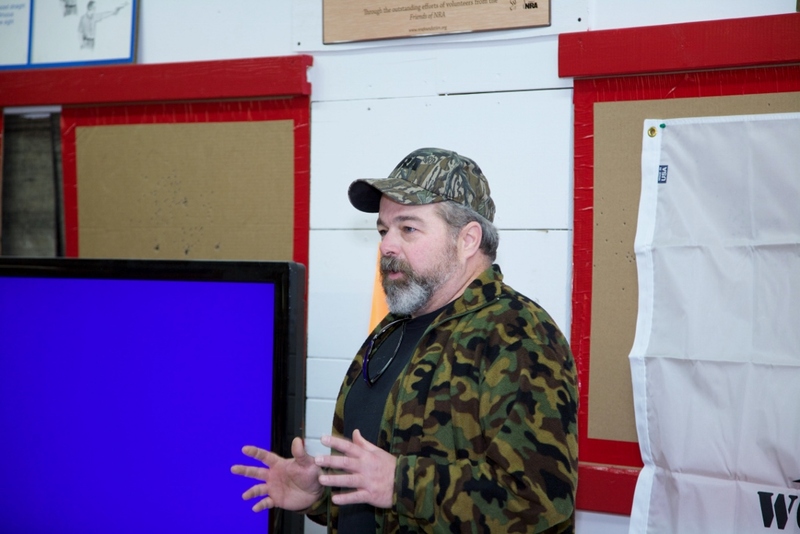 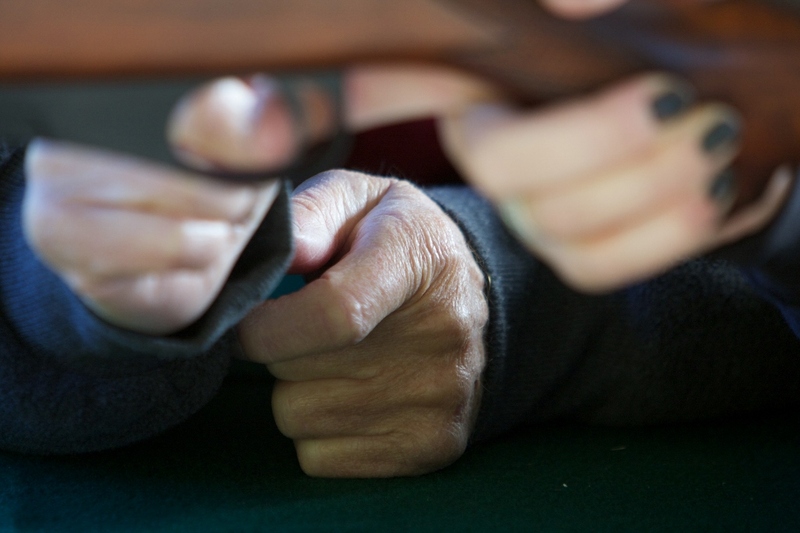 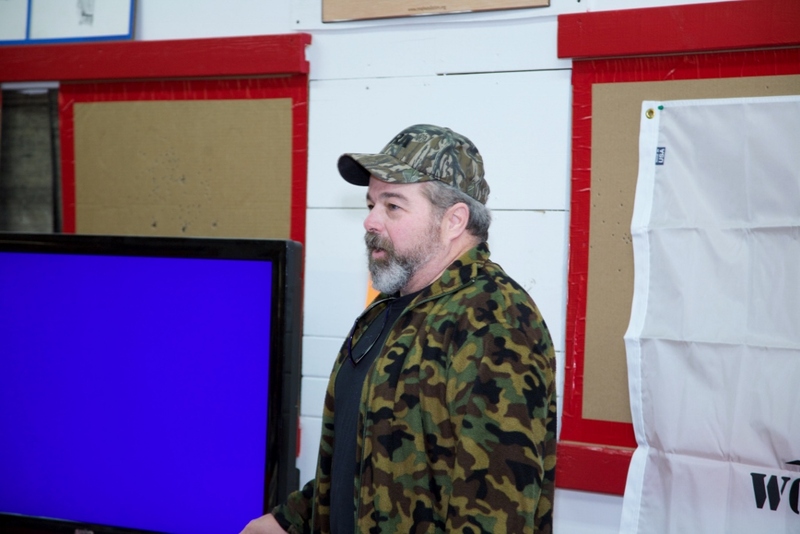 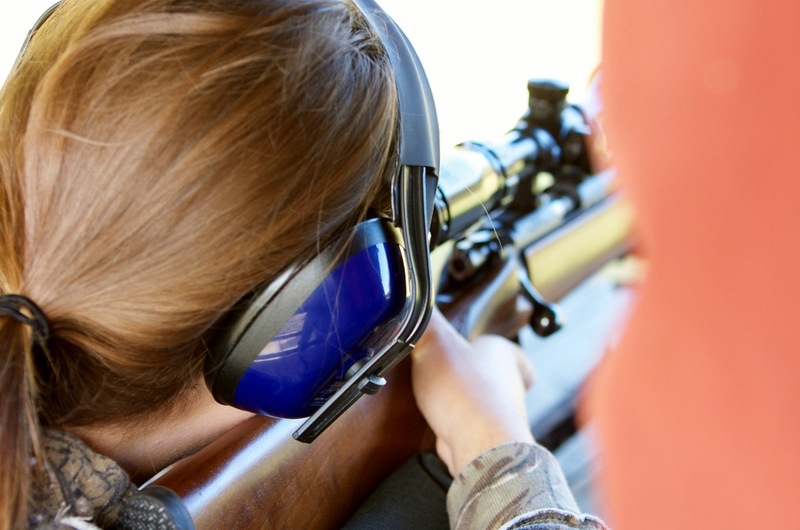 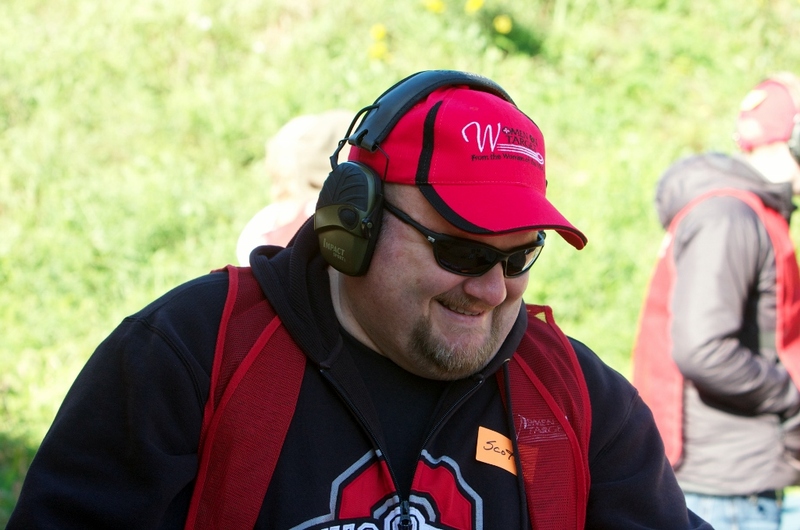 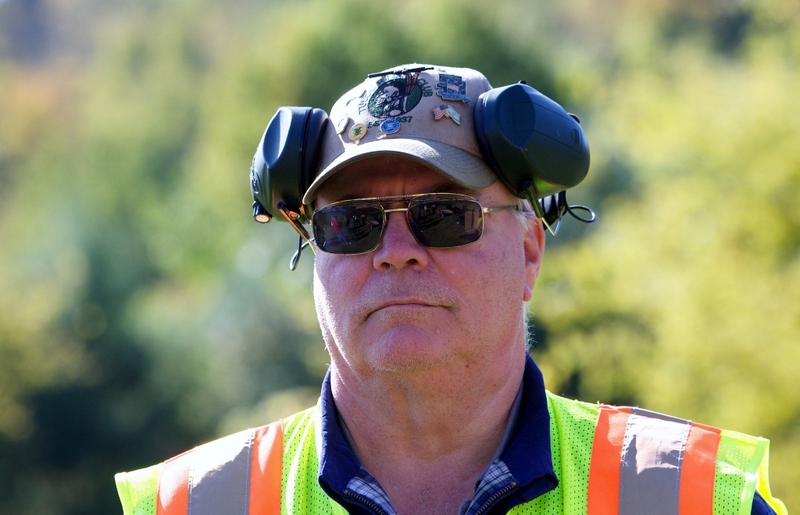 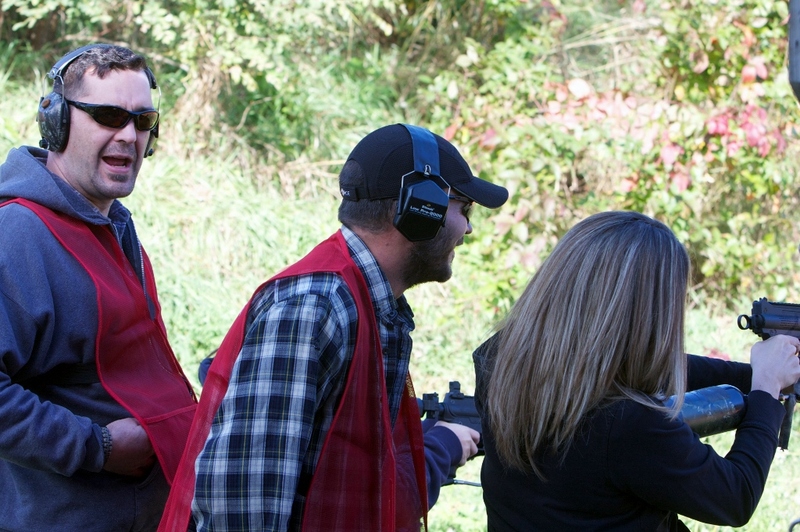 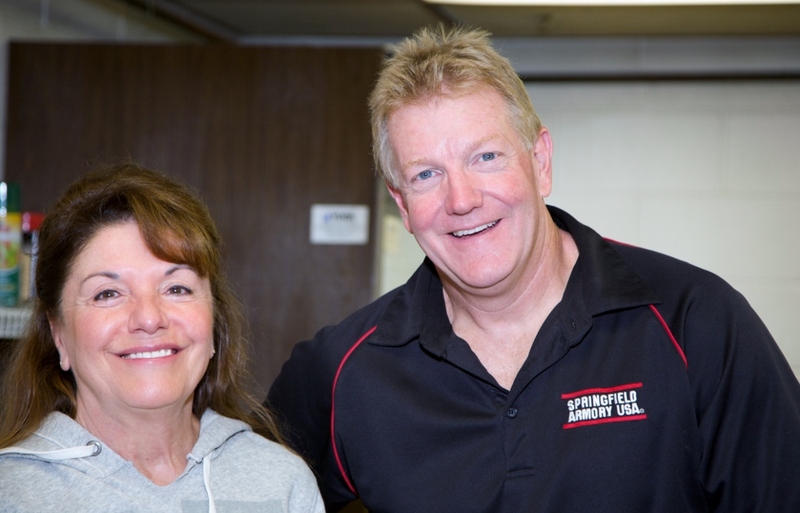 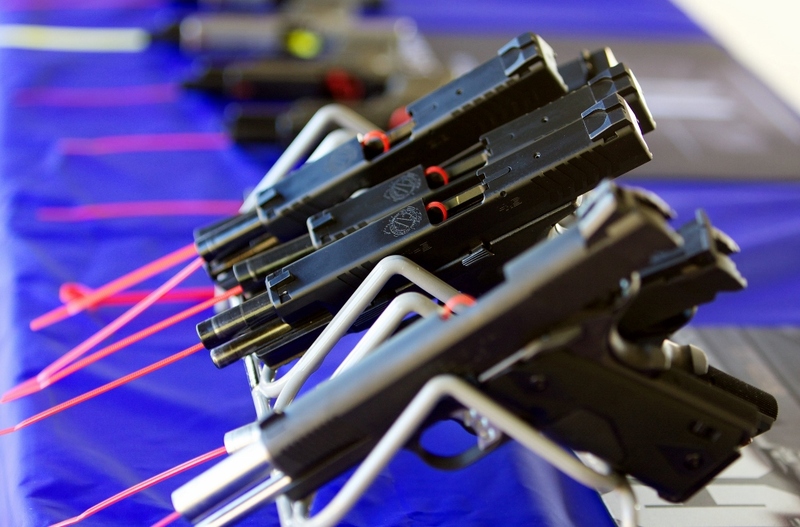 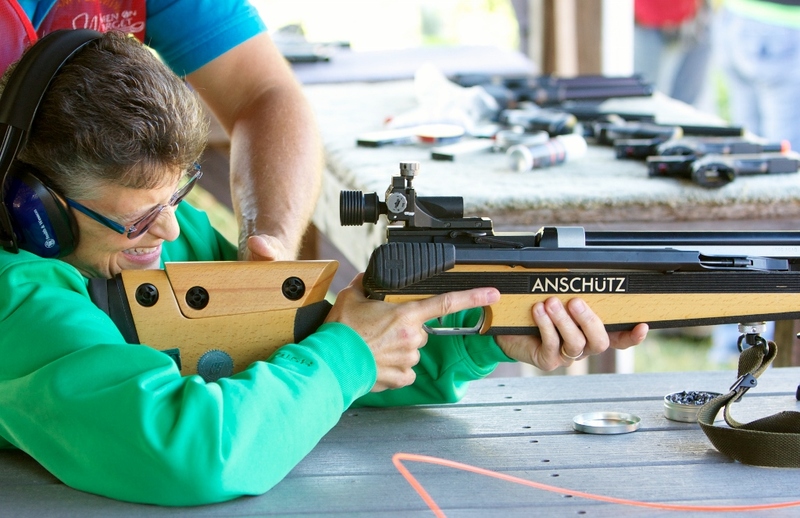 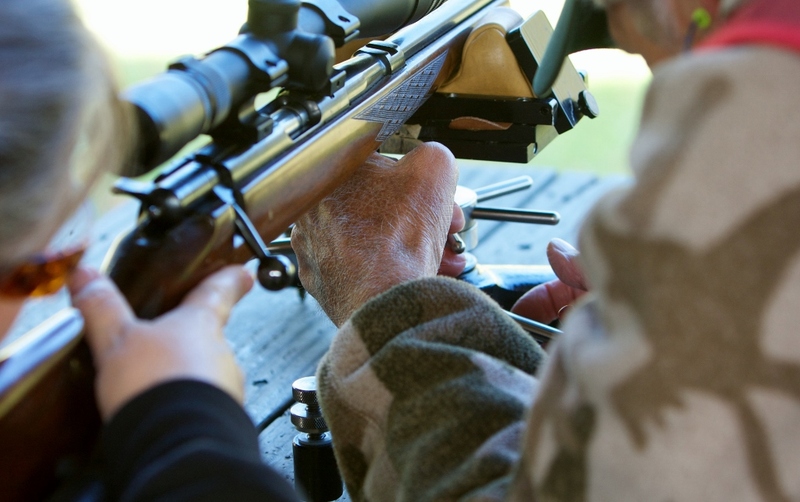 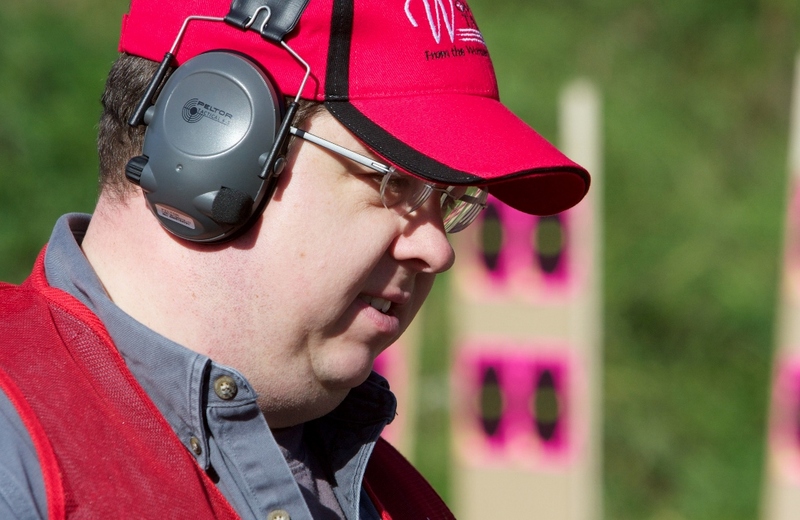 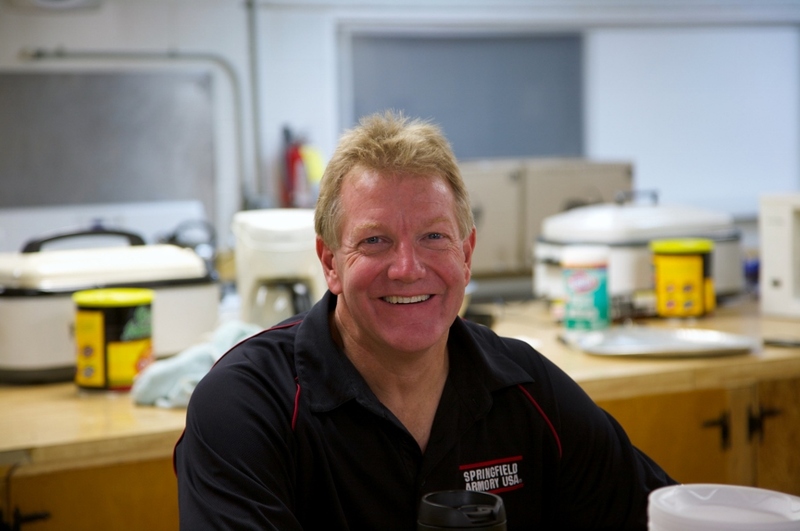 We presented one-on-one training in safety and responsible gun handling skills with small-bore rifle, military rifles, handguns, shotguns and air guns as well as archery, paintball and airsoft training. 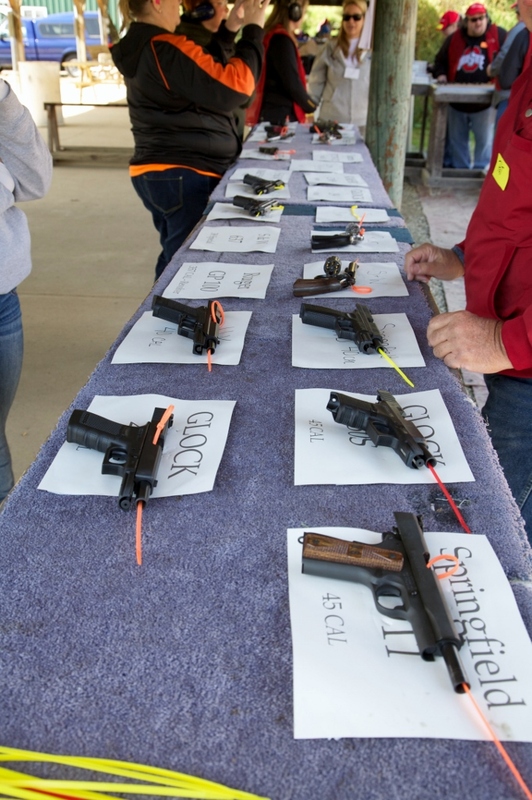 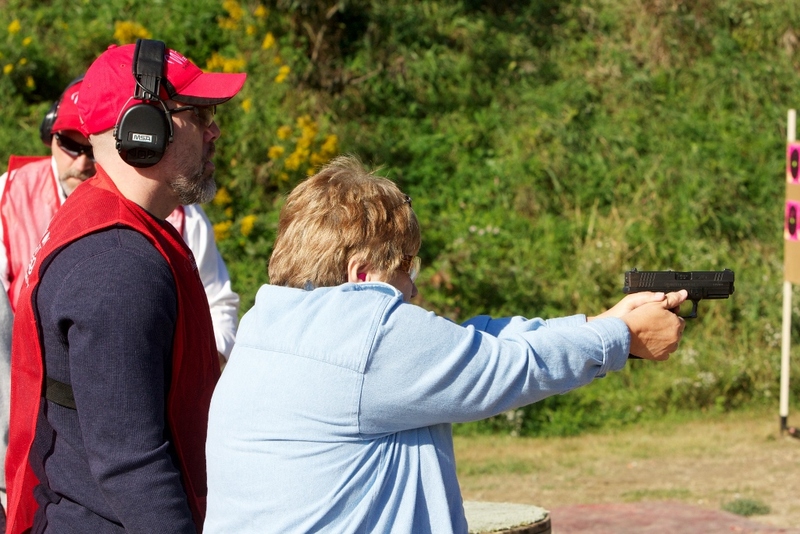 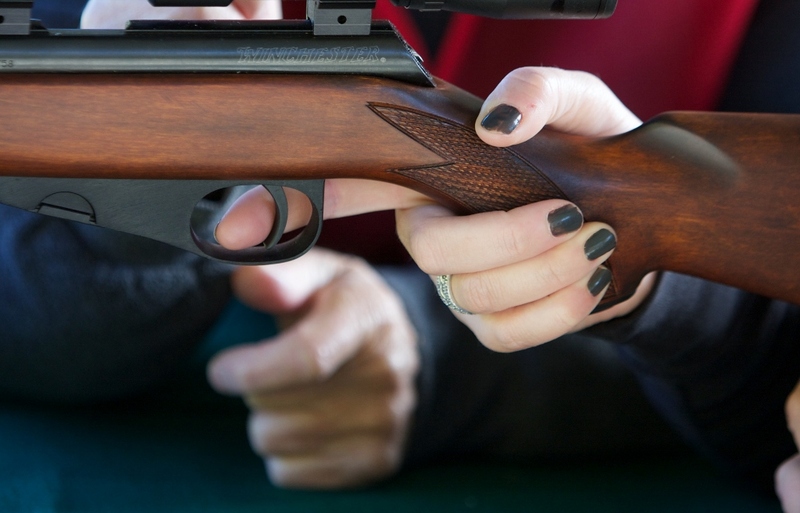 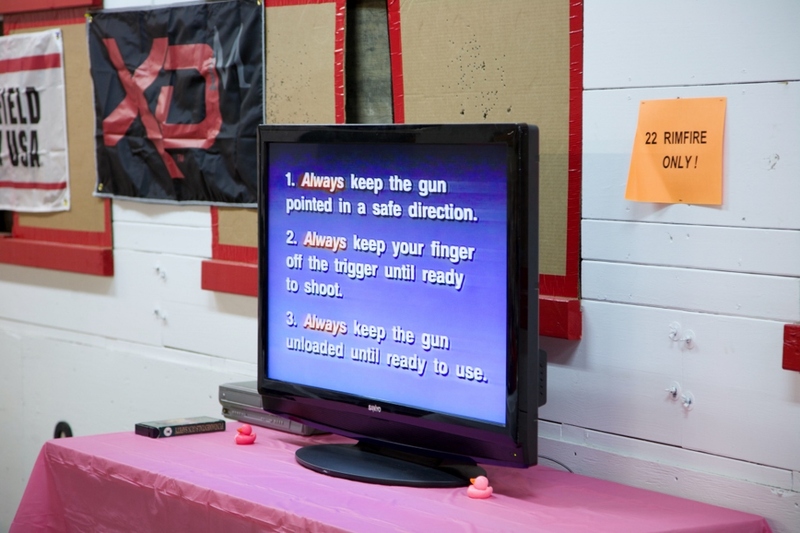 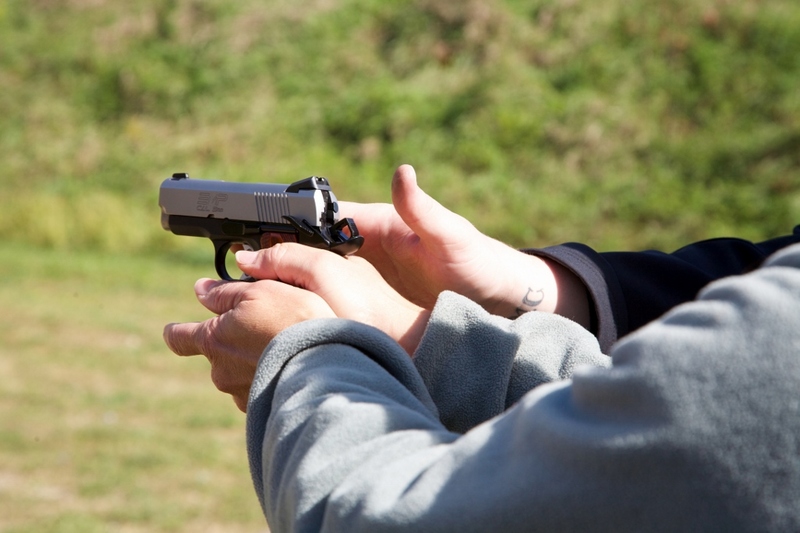 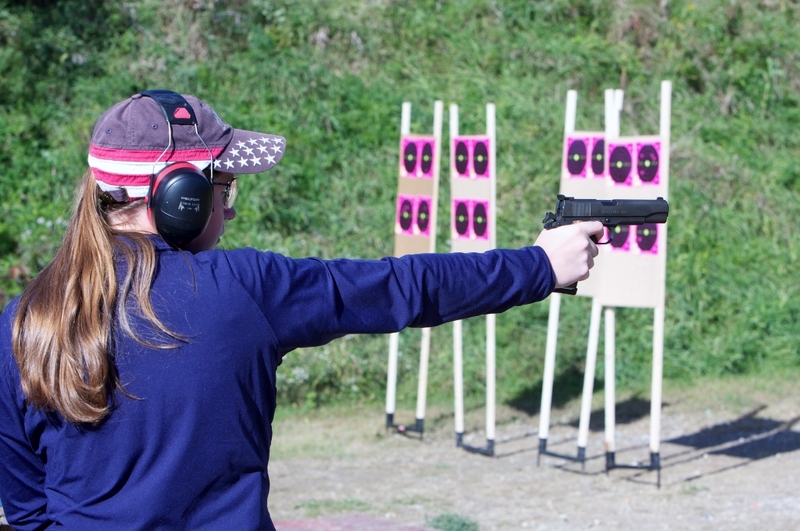 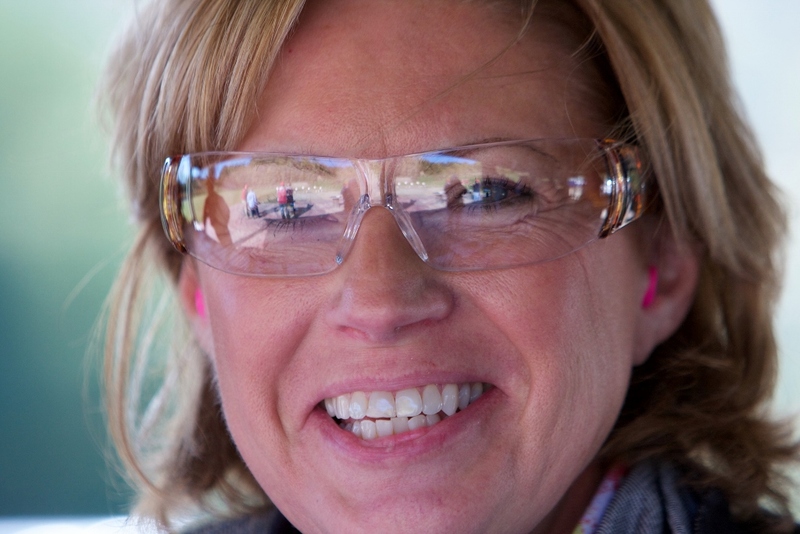 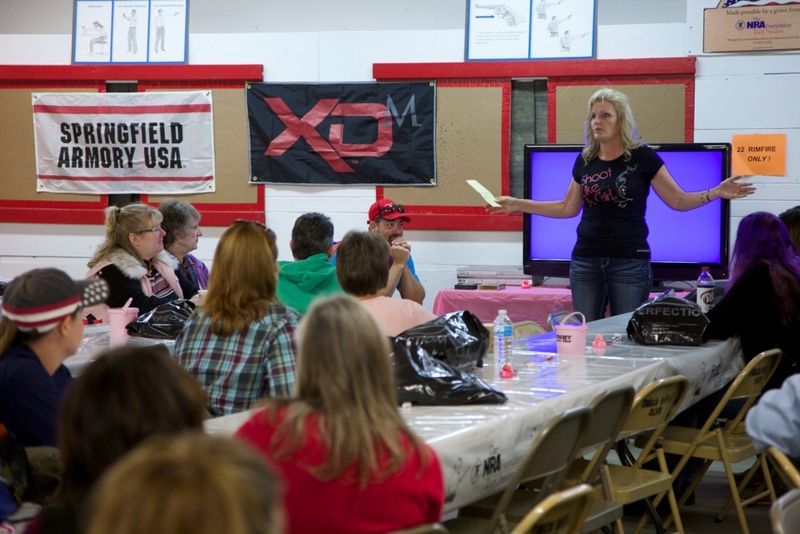 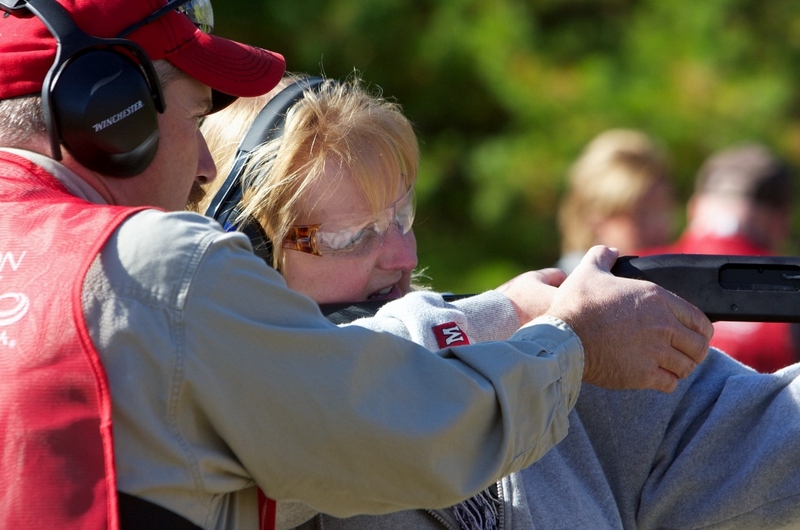 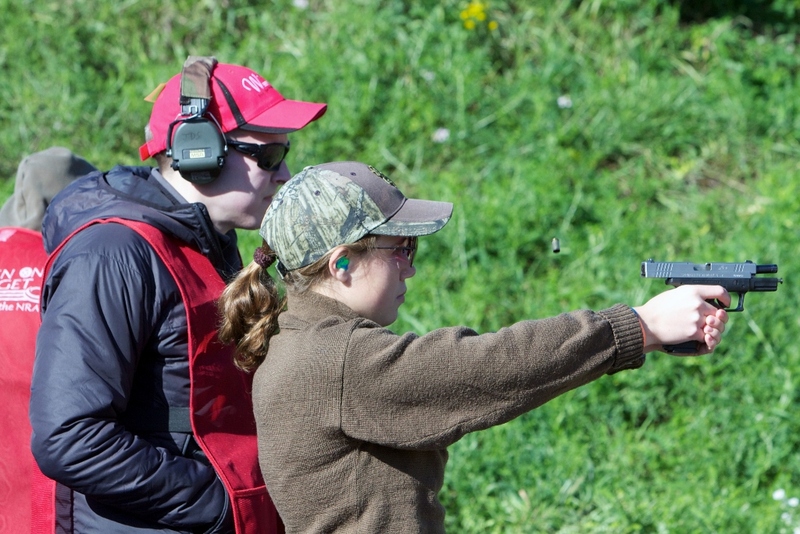 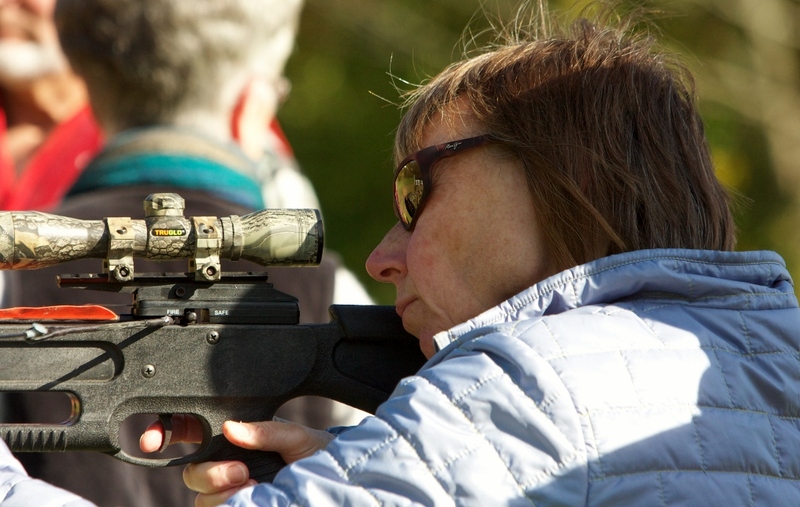 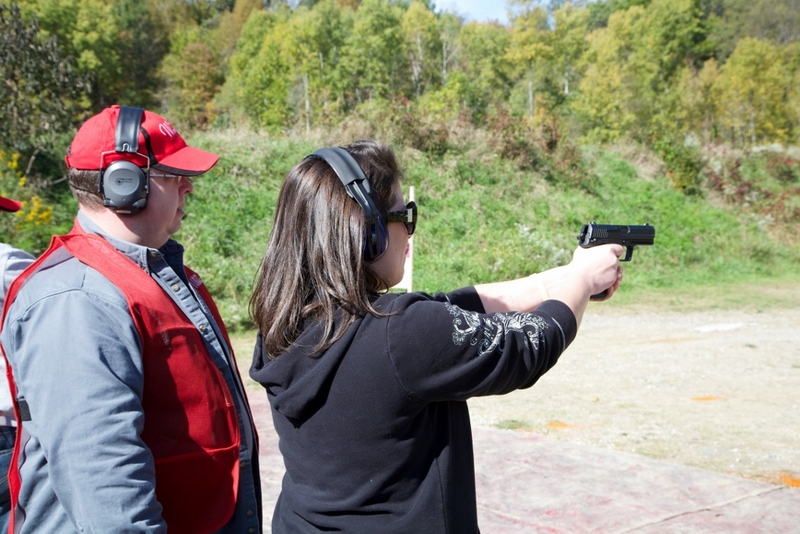 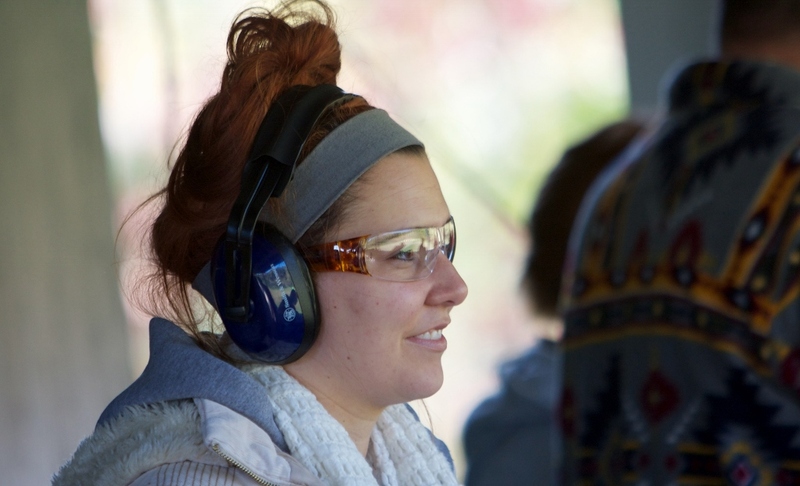 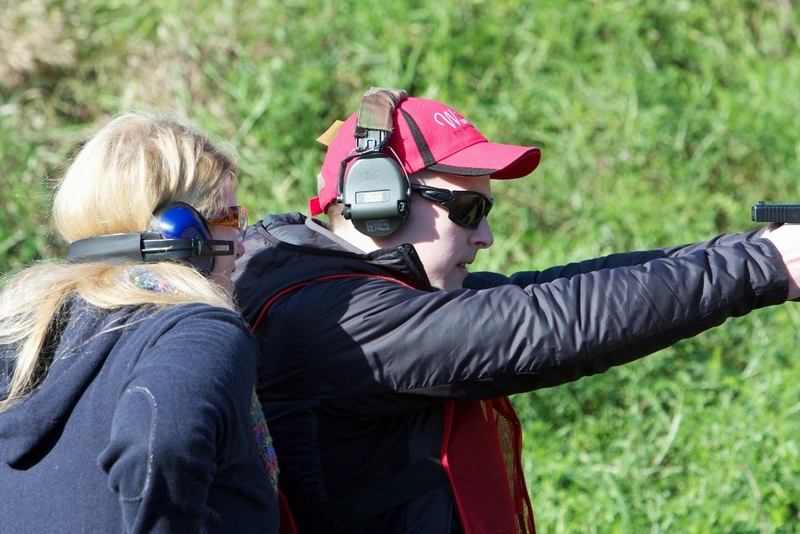 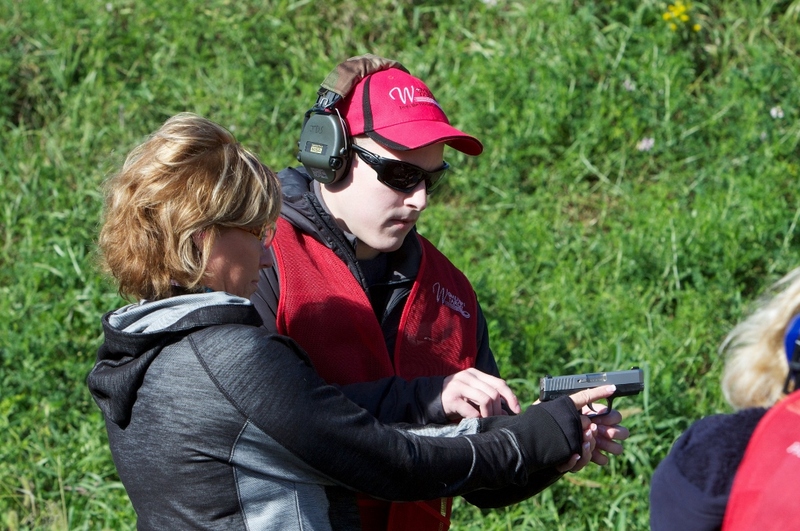 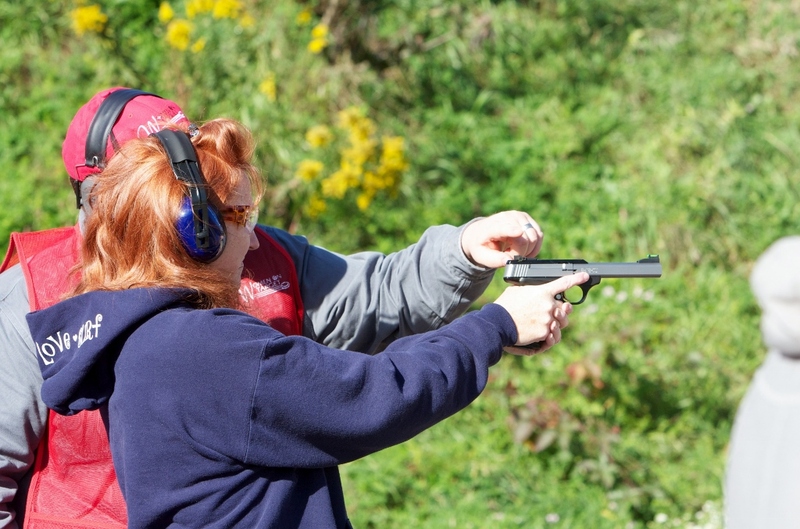 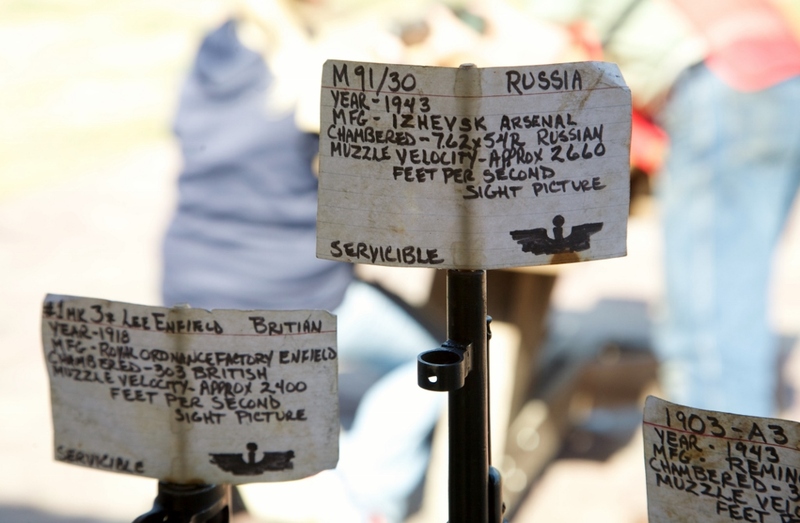 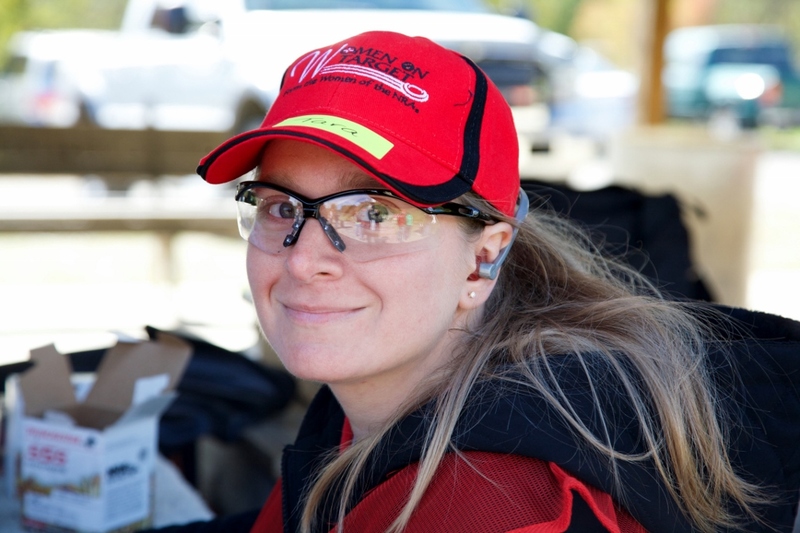 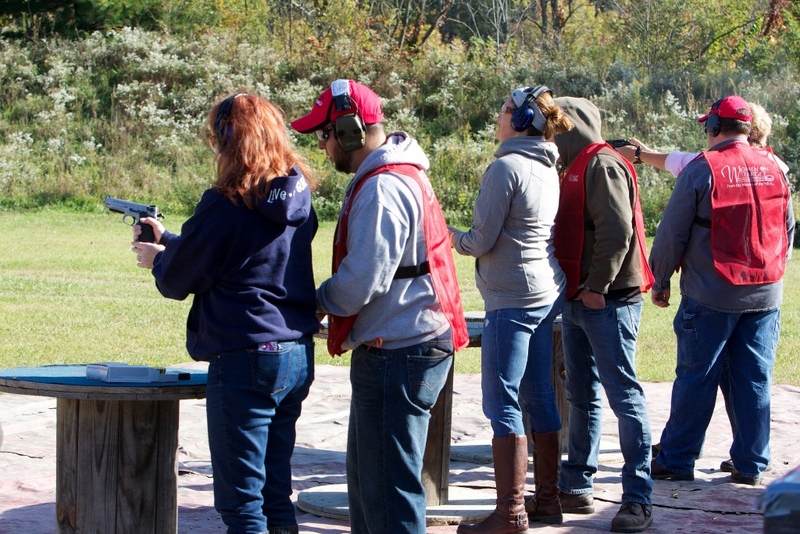 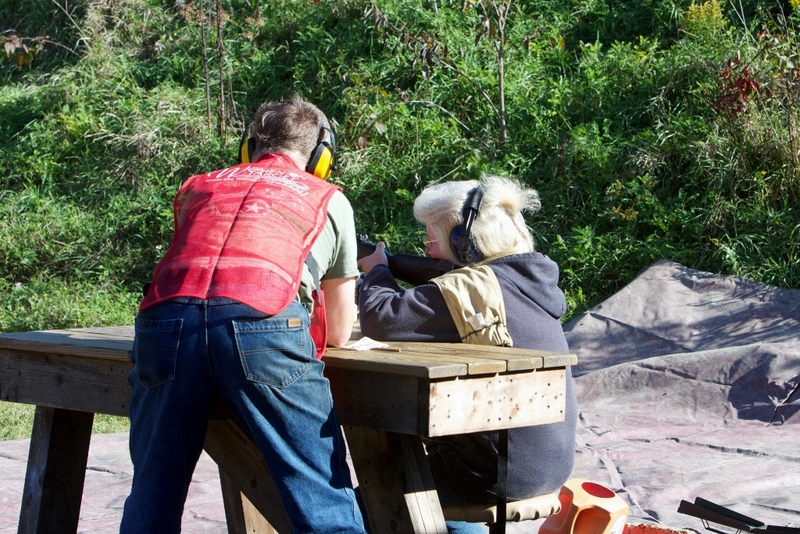 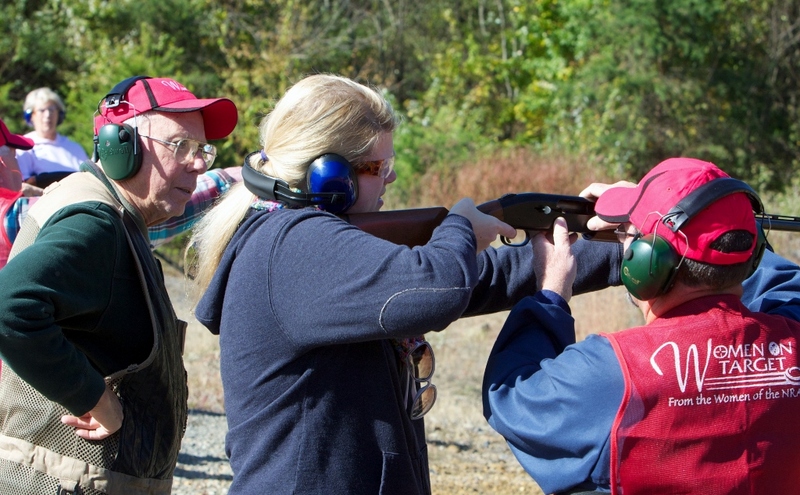 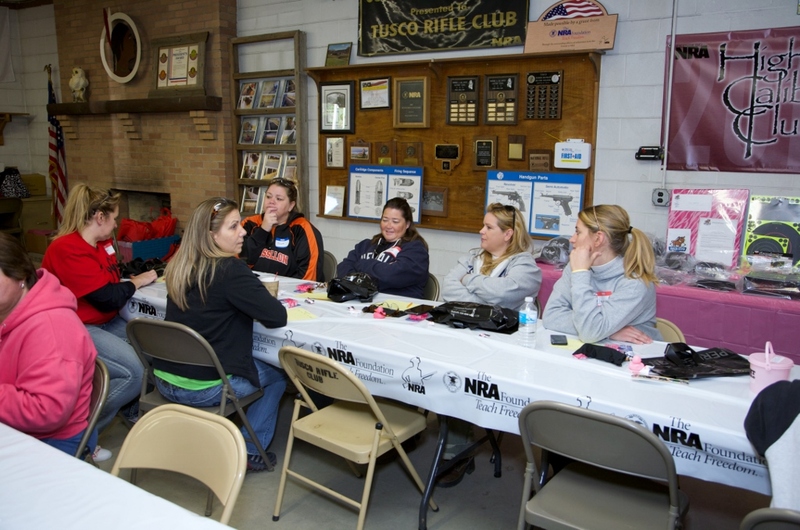 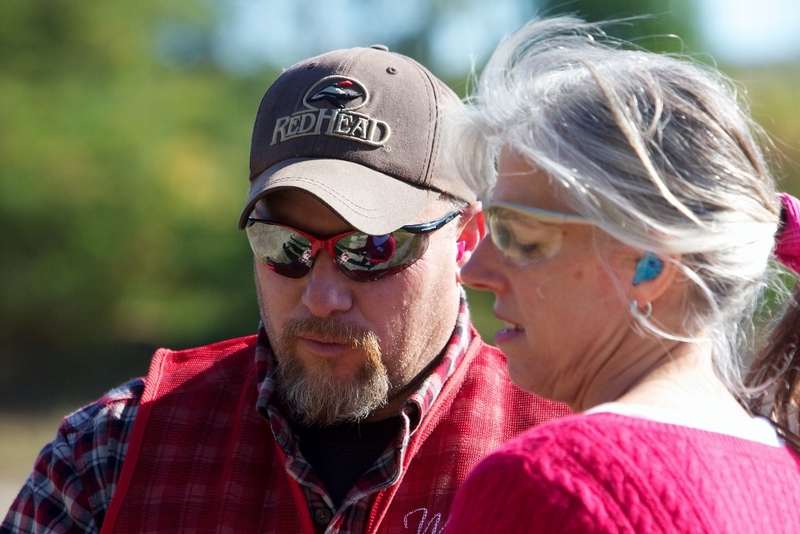 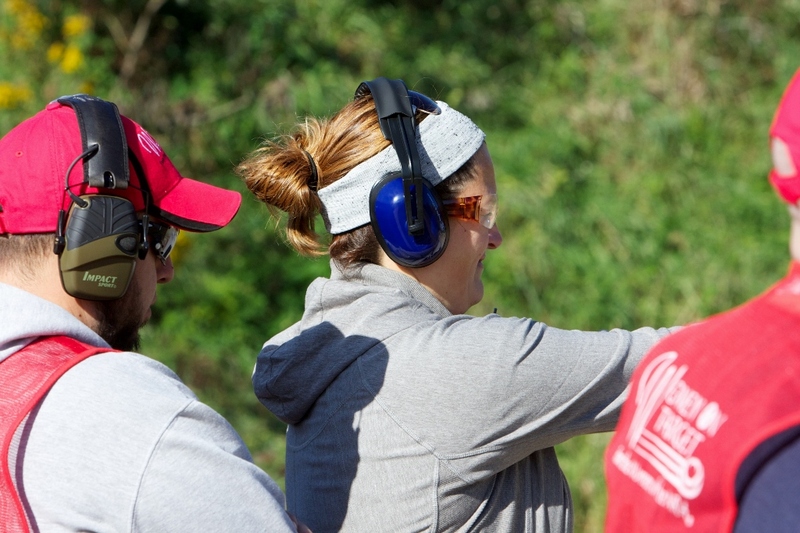 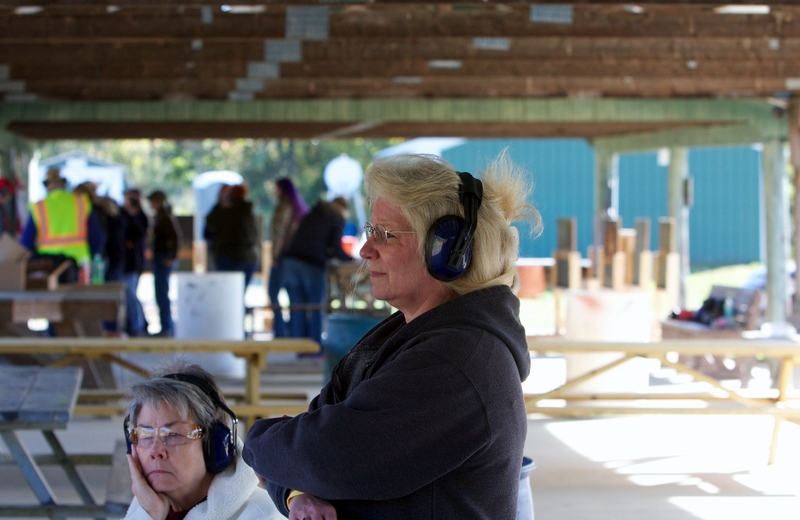 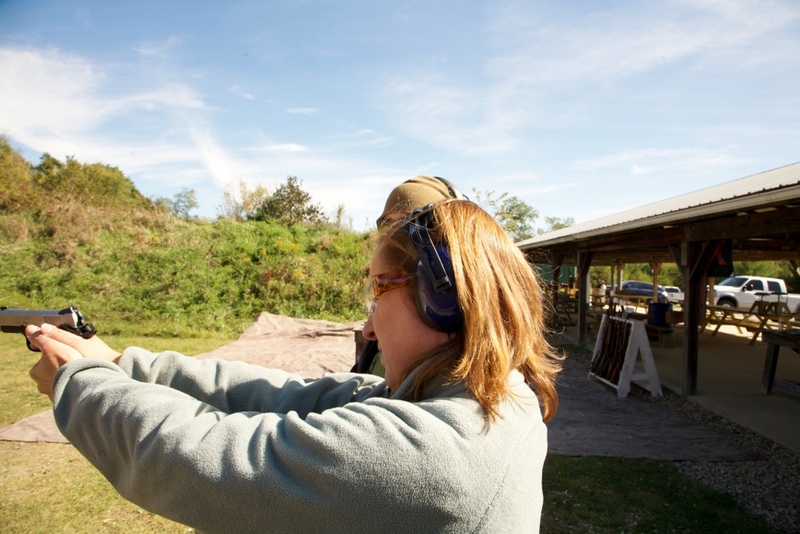 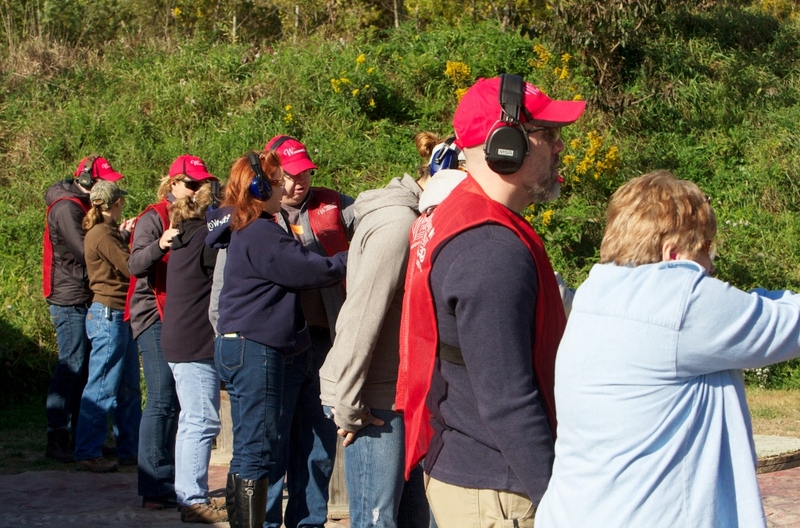 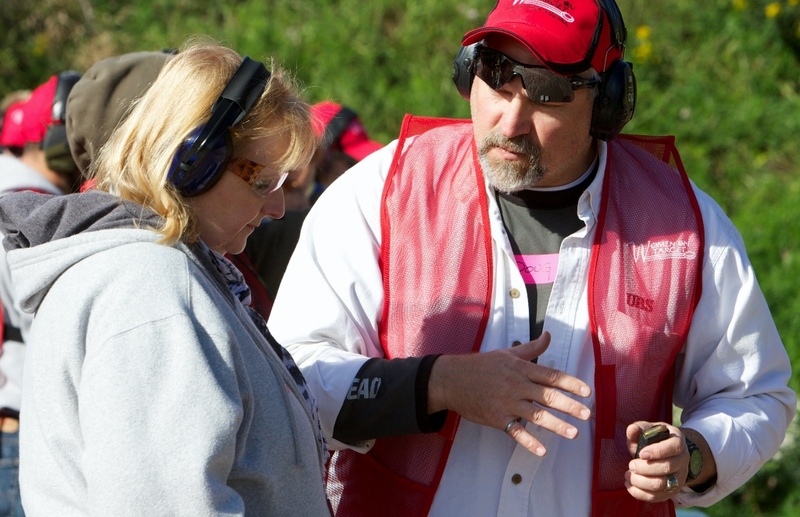 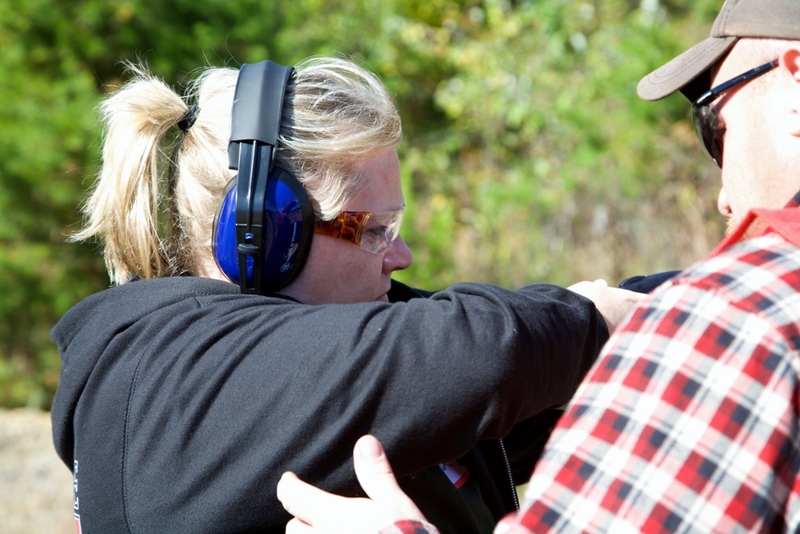 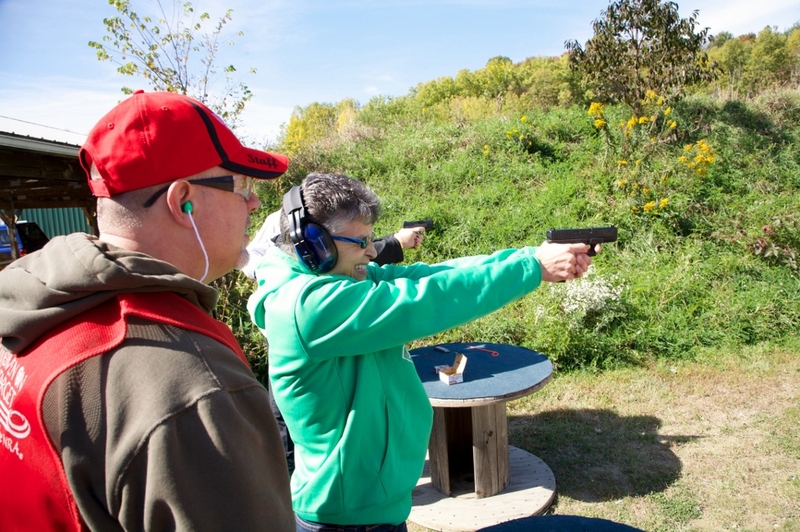 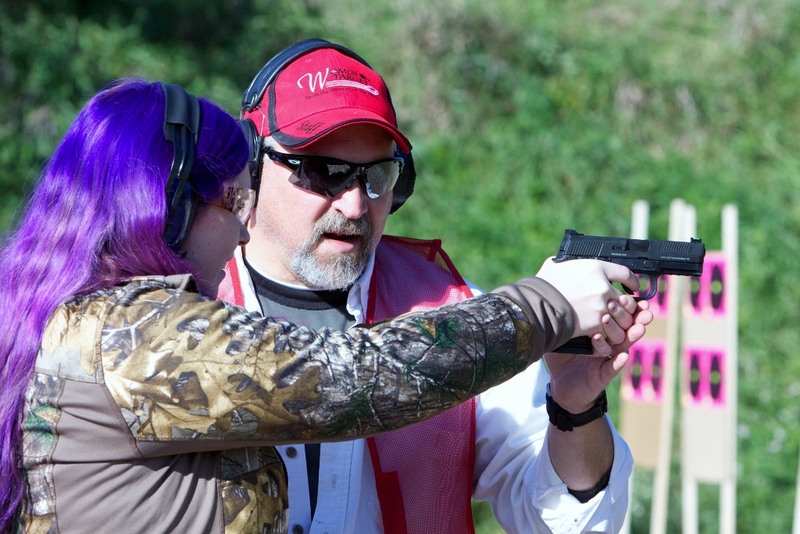 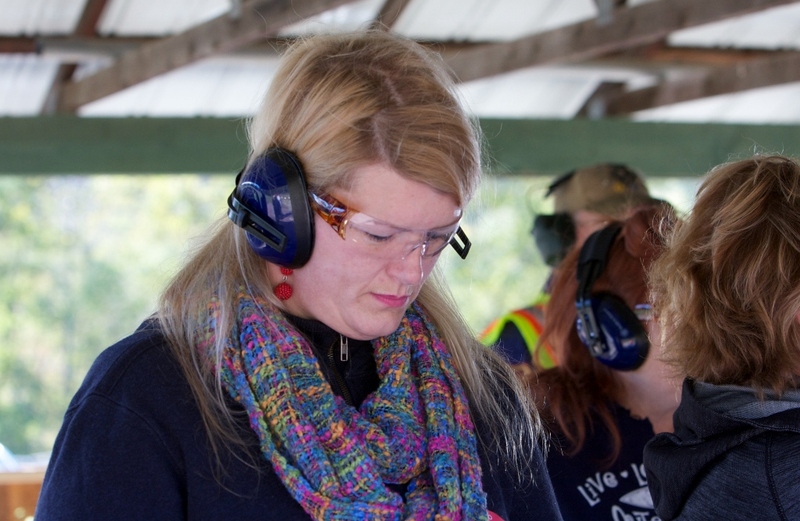 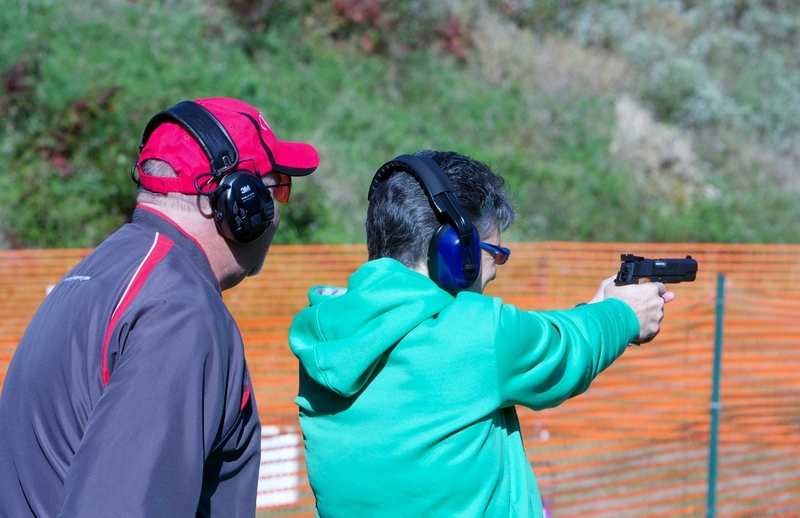 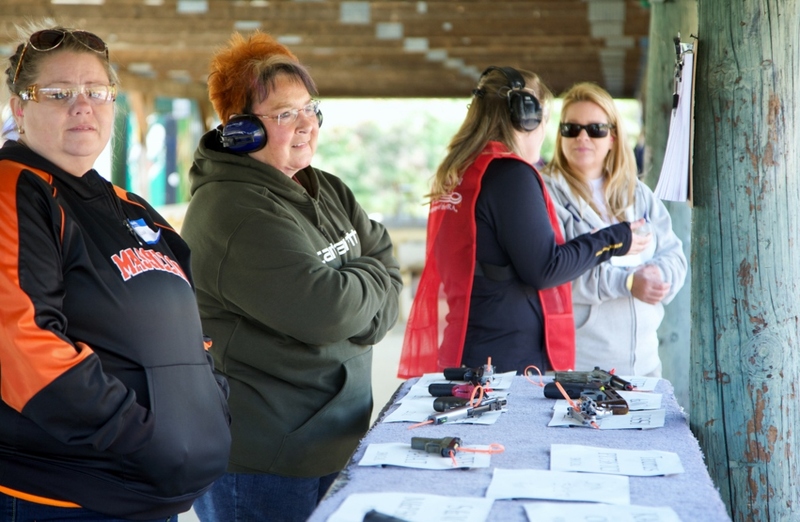 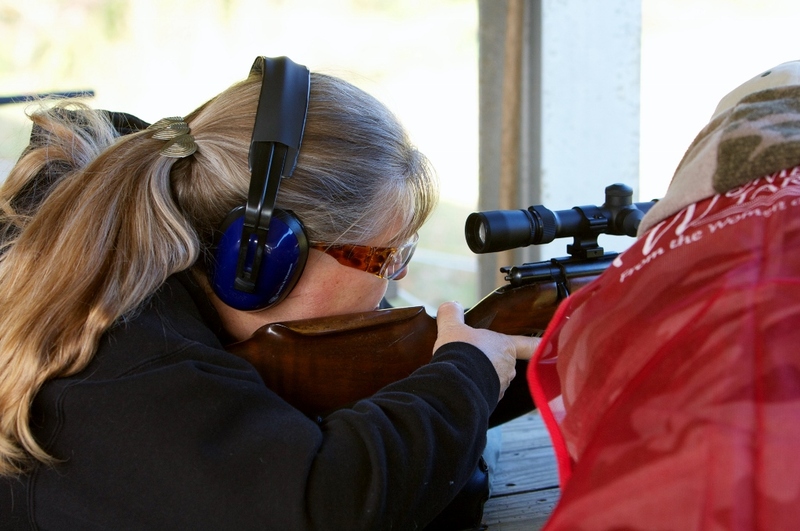 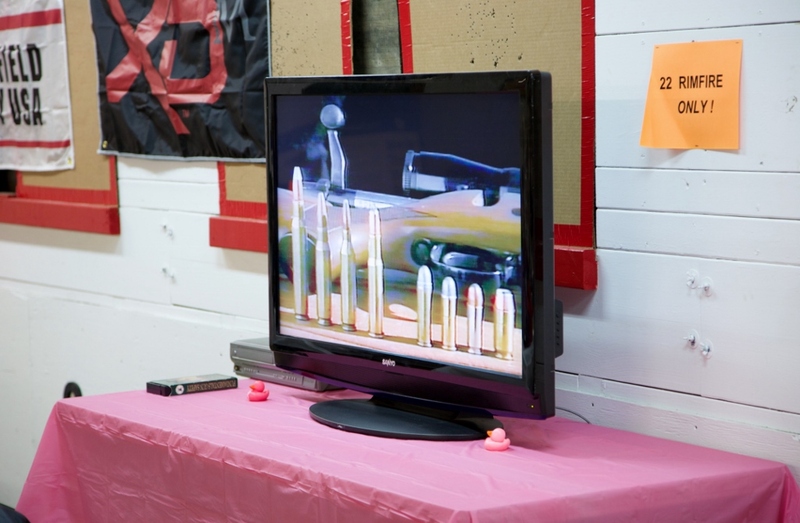 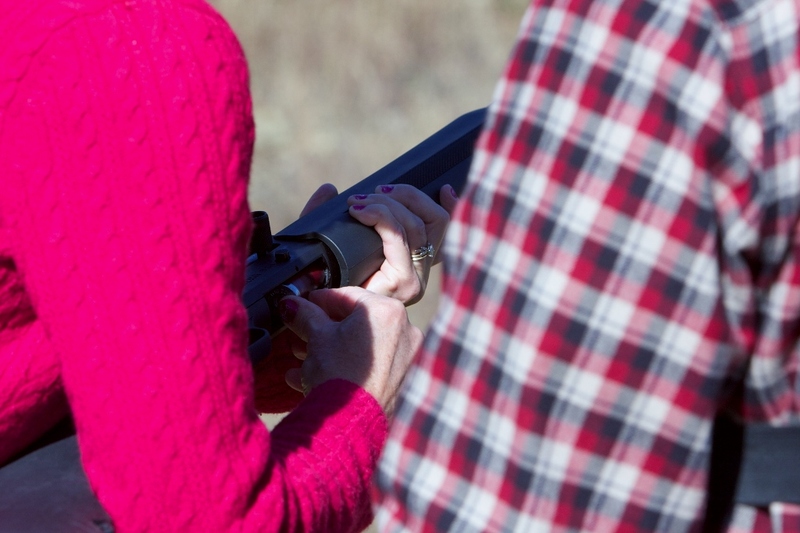 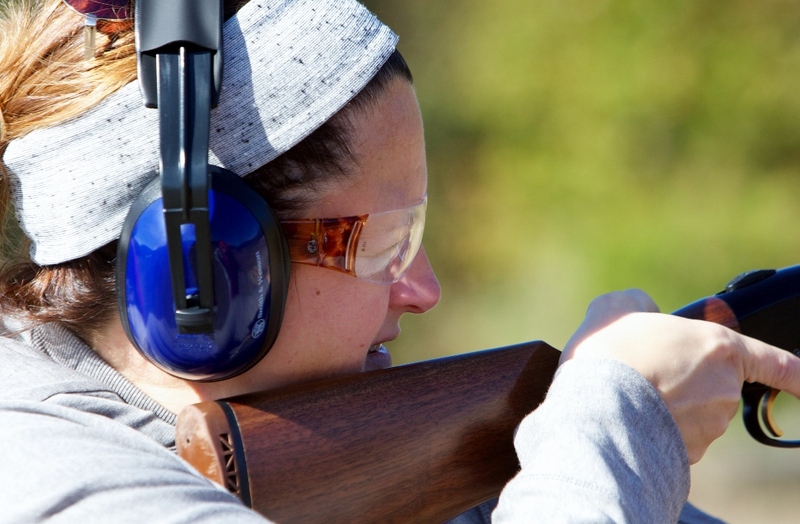 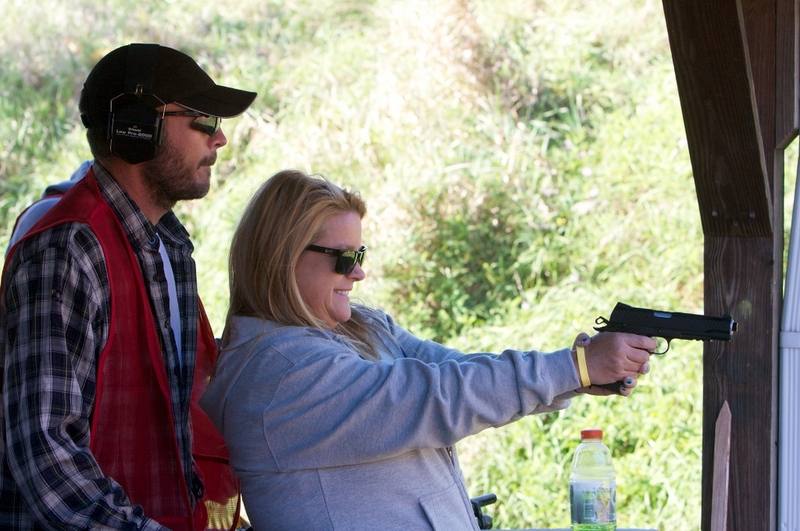 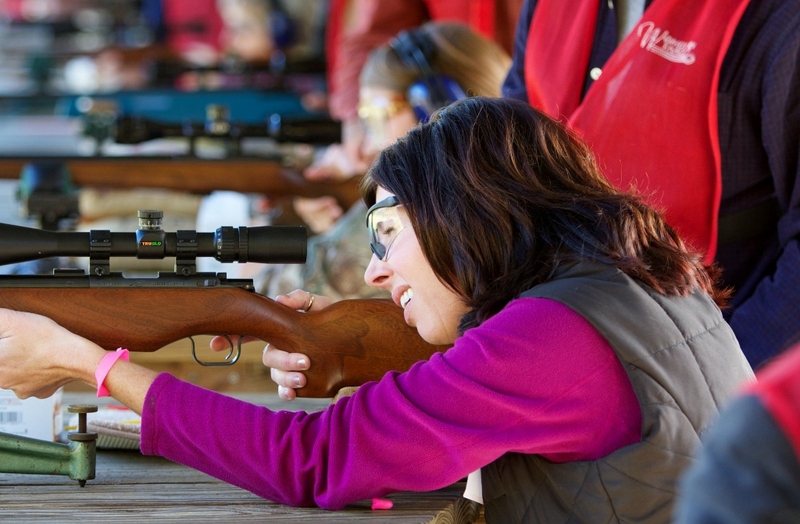 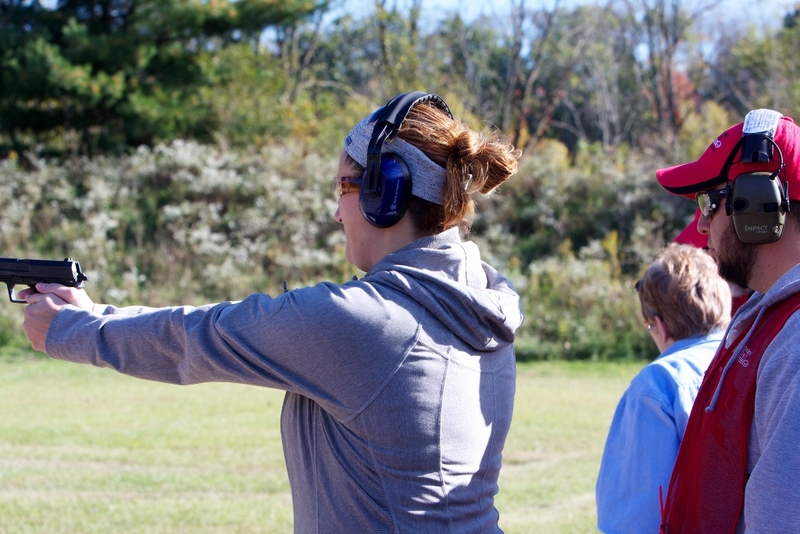 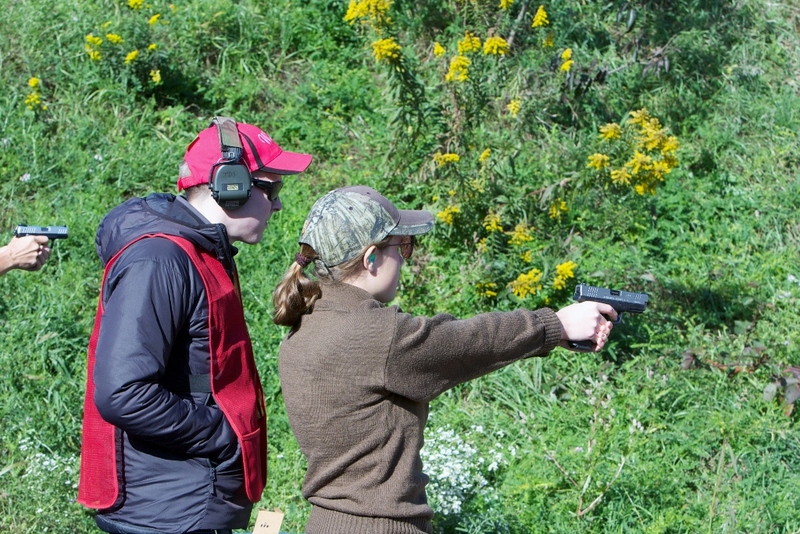 The ladies gained a healthy respect for firearms as well as shattering their fears and the false myths and stereotypes that surround firearms and the people who use them. 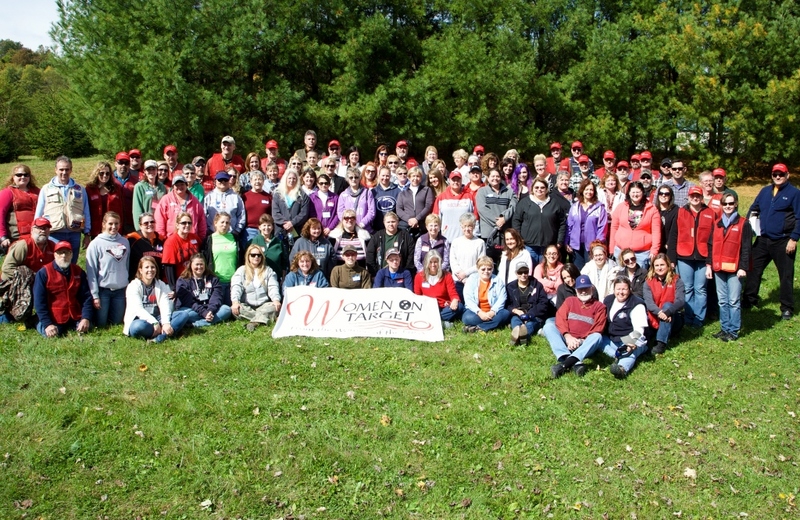 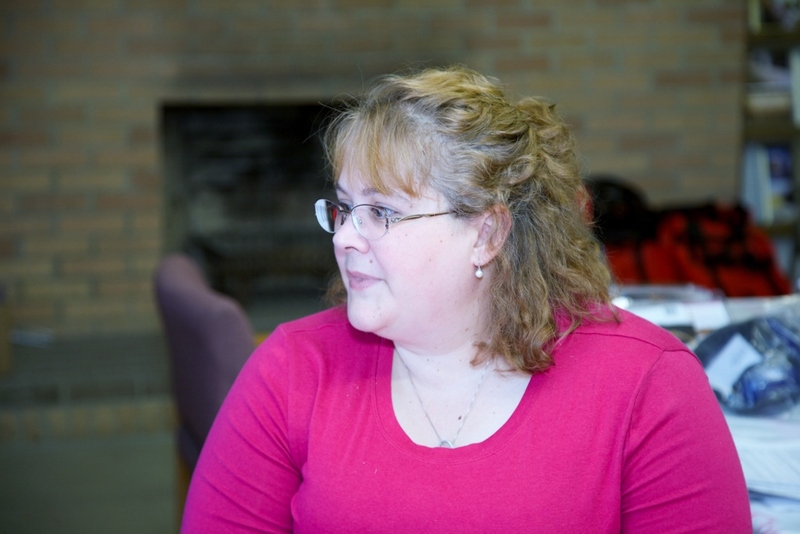 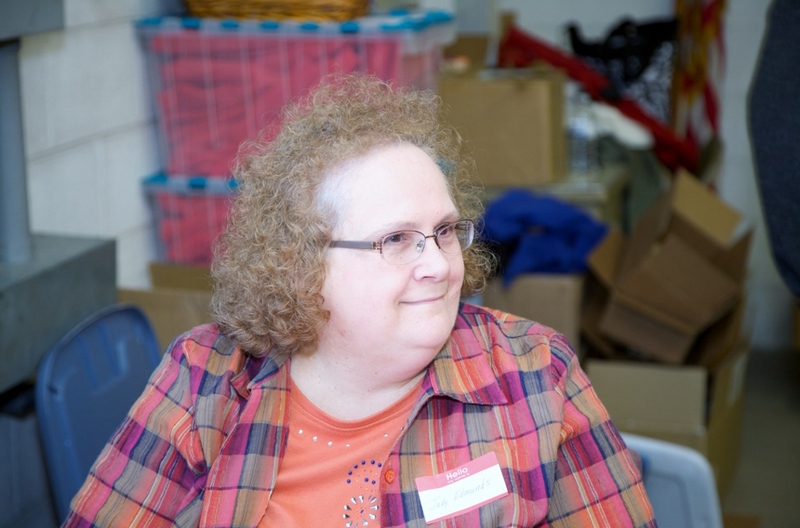 It was life changing for many of these women as well as the volunteers! 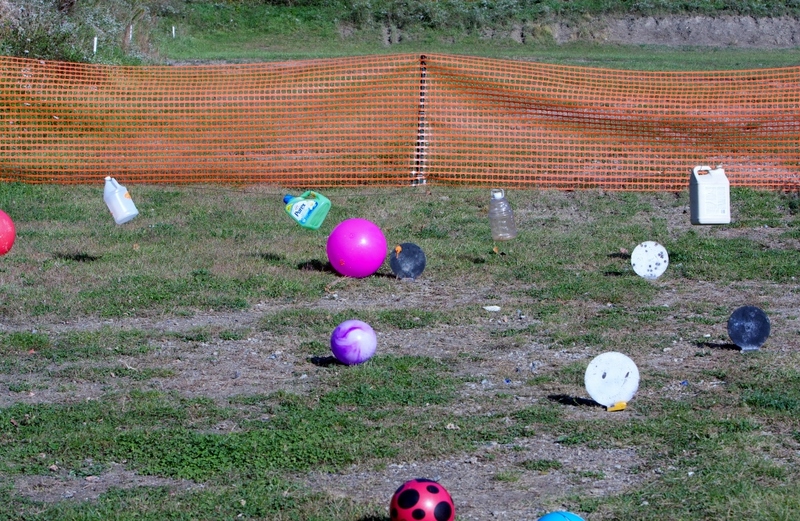 Besides all of that, they simply had a blast! 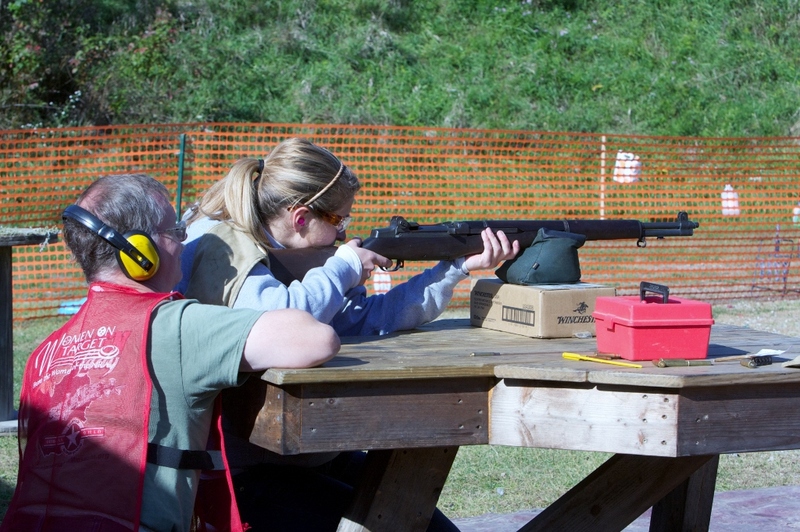 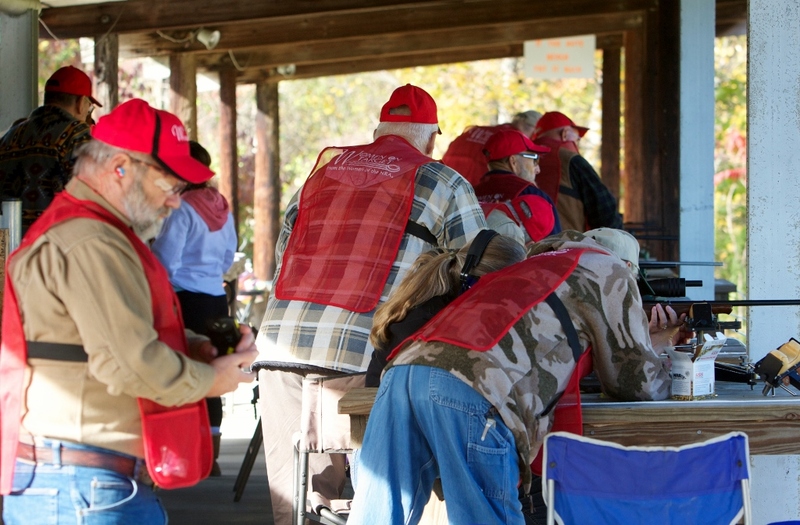 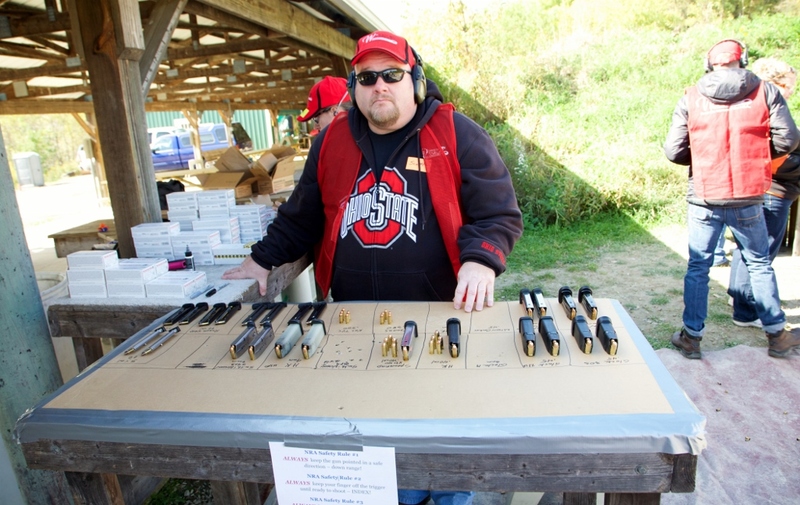 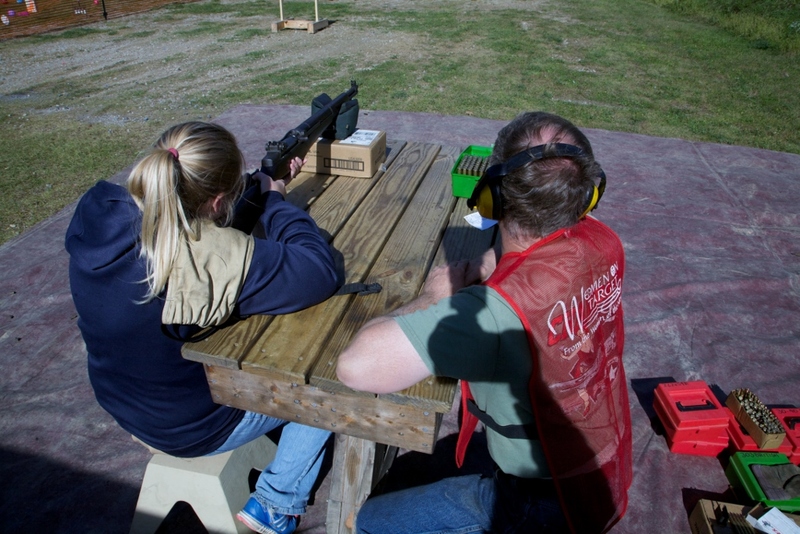 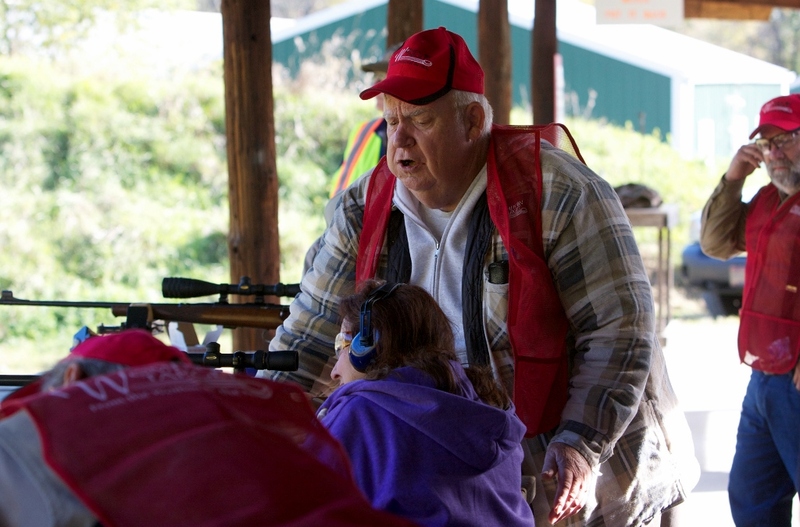 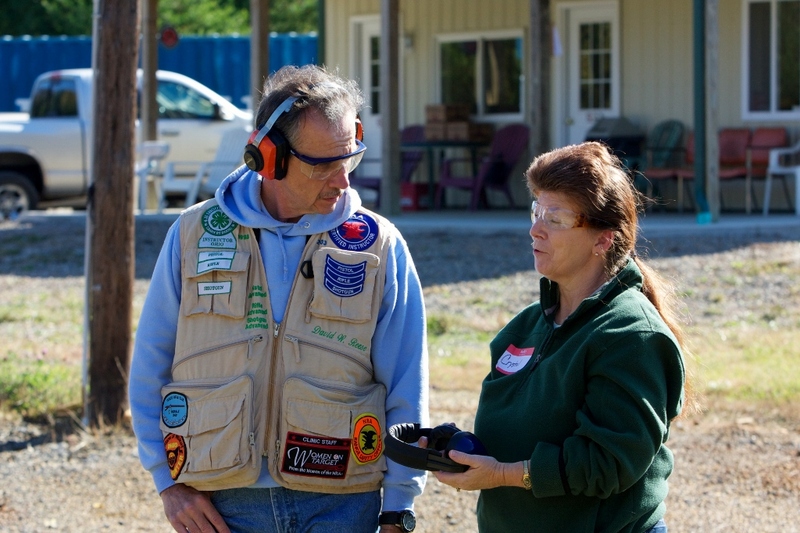 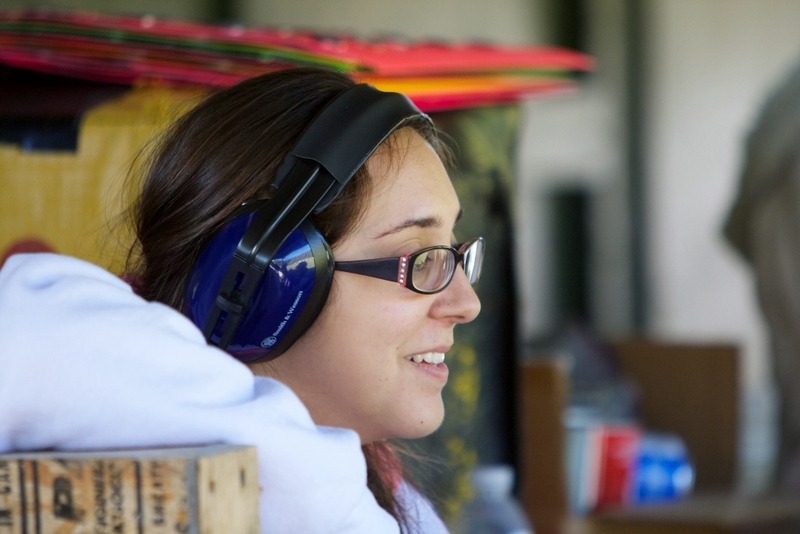 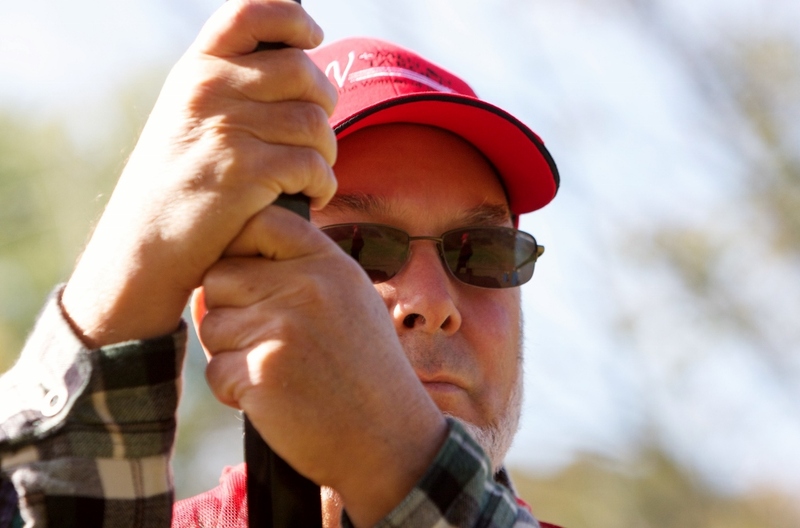 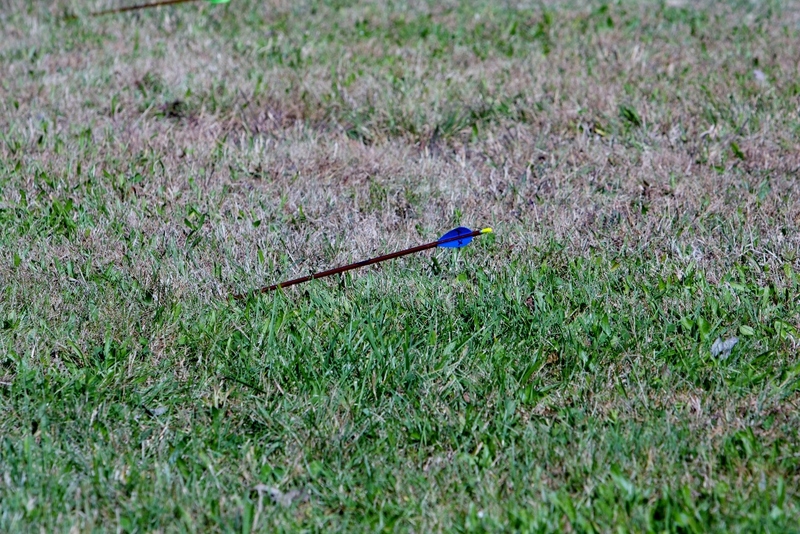 We could not do this without our volunteers in and outside of Tusco Rifle Club. 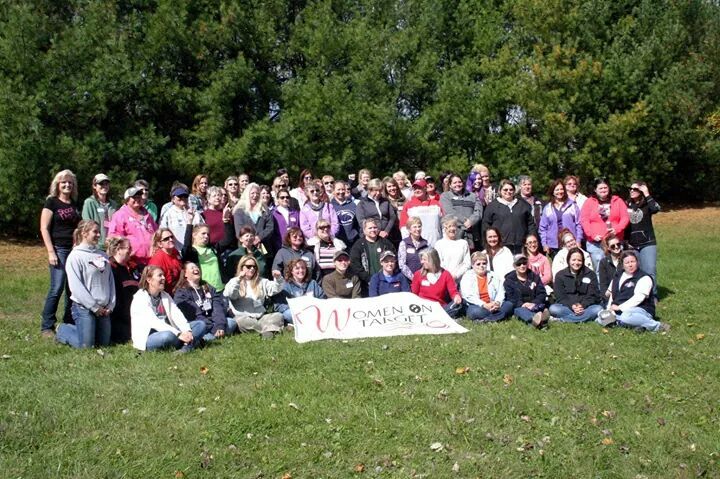 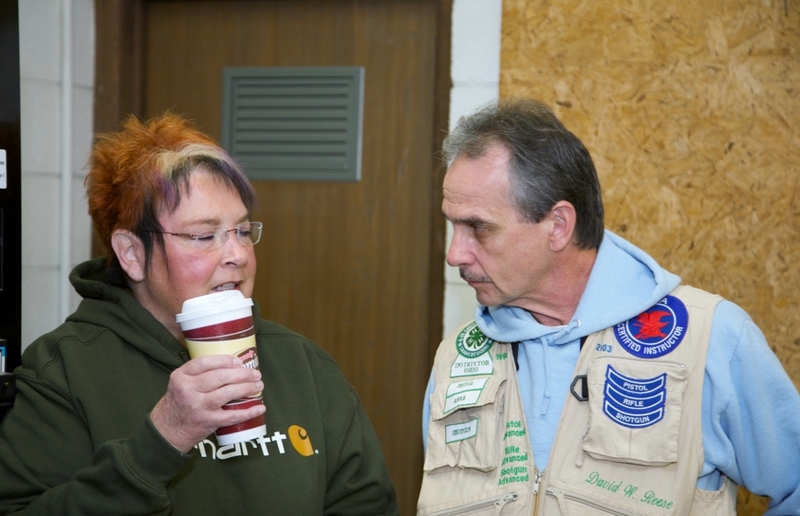 We had volunteers from all over Ohio as well as Michigan and West Virginia. 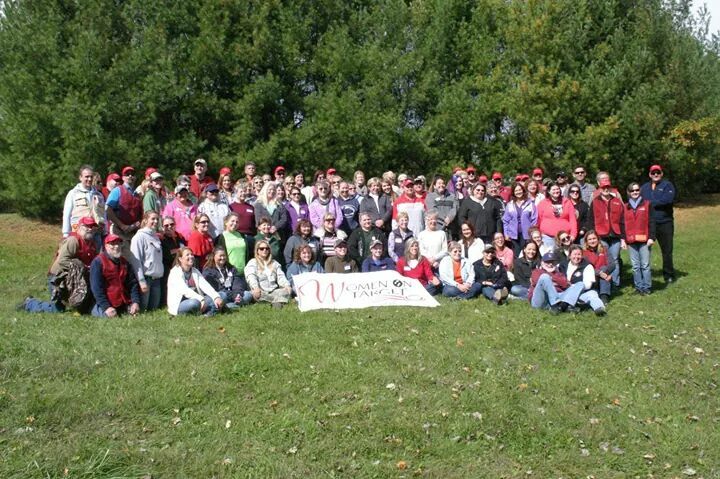 We would like to thank Daniel Adams, Derek Albright, James Andrews, Anne Baker, Ben Baker, Aaron Barger, Casey Benner, Robert Brown, Michelle Cerino, Bob Conner, John Craig, John Daughtery, Doug Dillon, Eric Drake, Judy Edmunds, James Eichel, Robert Ellwood, Wes Fleming, Susan Fries, Jill Gallagher, Jerry Garver, Jerry Graw, Shirley Graw, Larry Green, Claude Hanks, Bryan Harrold, Henning Henriksen, Eric Himes, Joe Himes, Amber Hobart, Dan Hobart, Kimberly Hobart, Russ Hobart, Travis Hobart, Andrew Ireland, Tara Ireland, Frank Janda, Tom Kaderly, William Kemphfer, Charles Kracker, Tina Linton, Ben McFarland, Tom Meyers, Patrick Moody, Walter Morris, Paul Myers, John Parsons, James Phelps, Darren Prouty, Dolly Raines, Don Raines, David Reese, Scott Reynolds, Jordan Saylor, David Scofield, David Trustdorff, Carl Uhl, Mel Underwood, Alan White, Brenda White and Christina Wills. 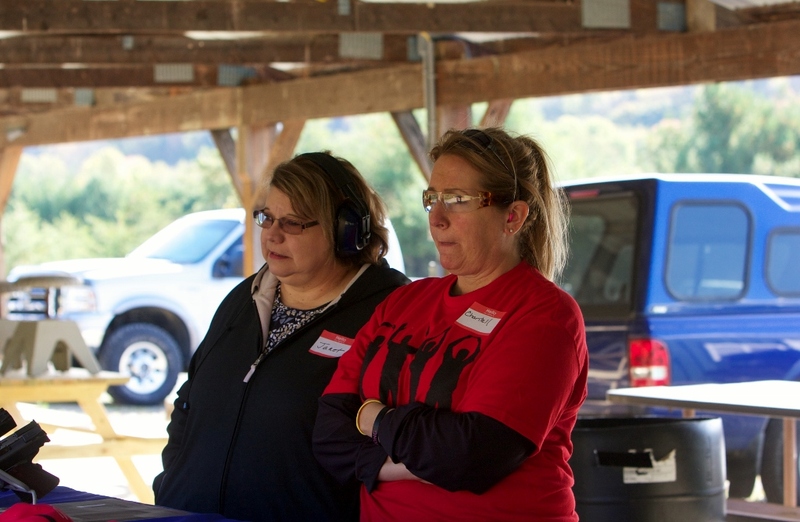 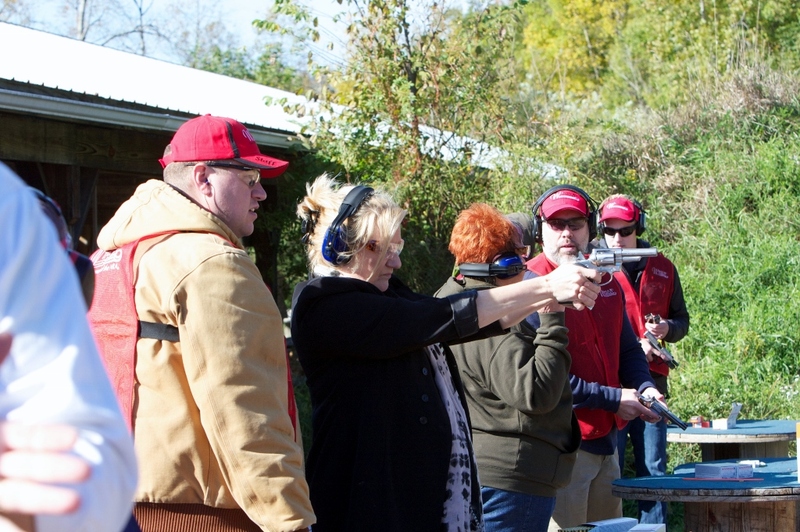 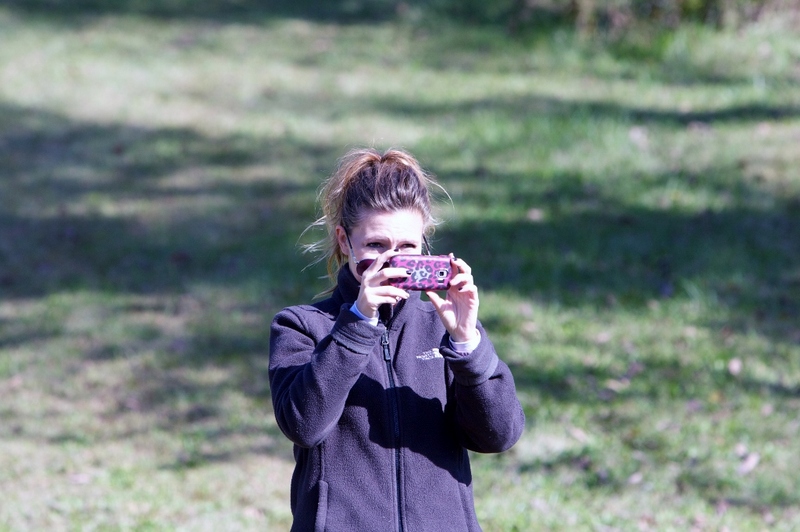 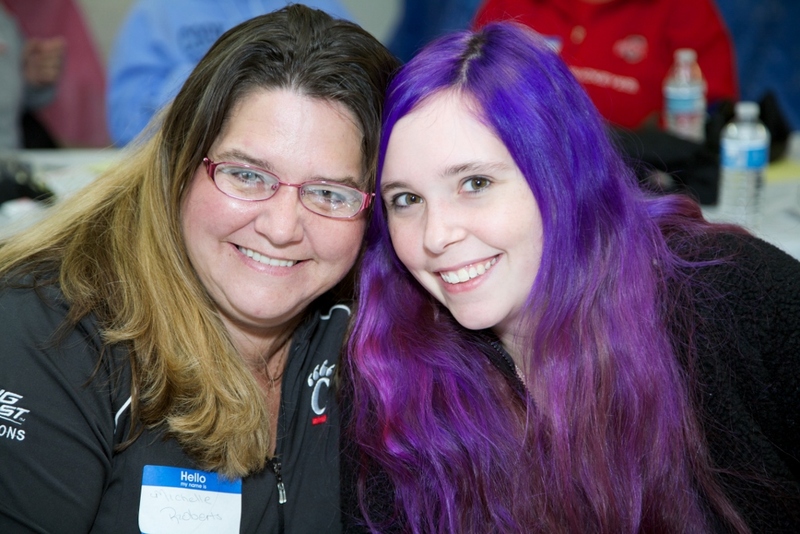 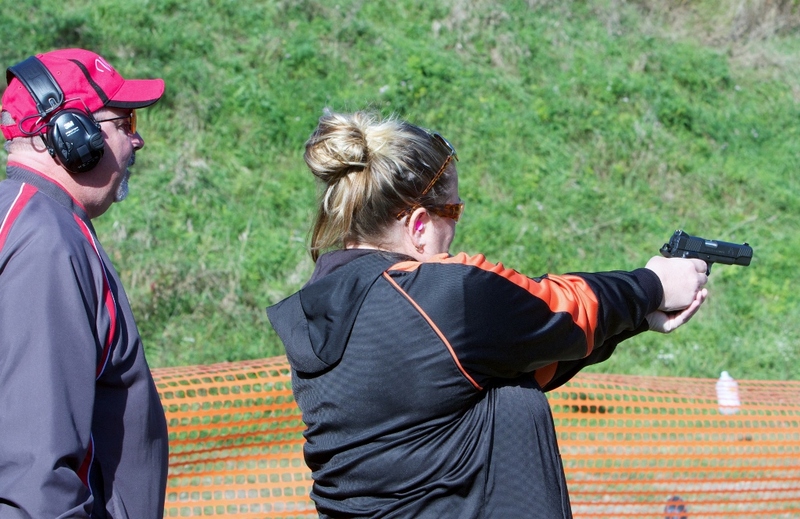 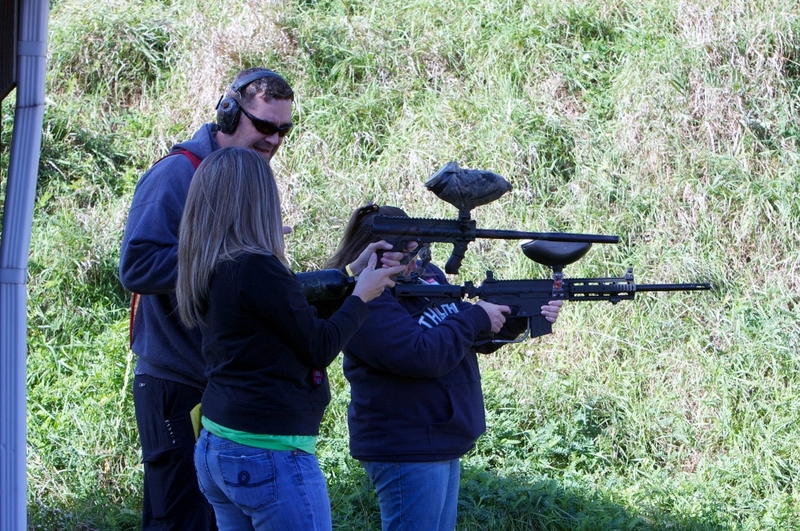 If you would like to see more pictures from our event, please check out our Facebook page for TUSCO WOMEN ON TARGET. 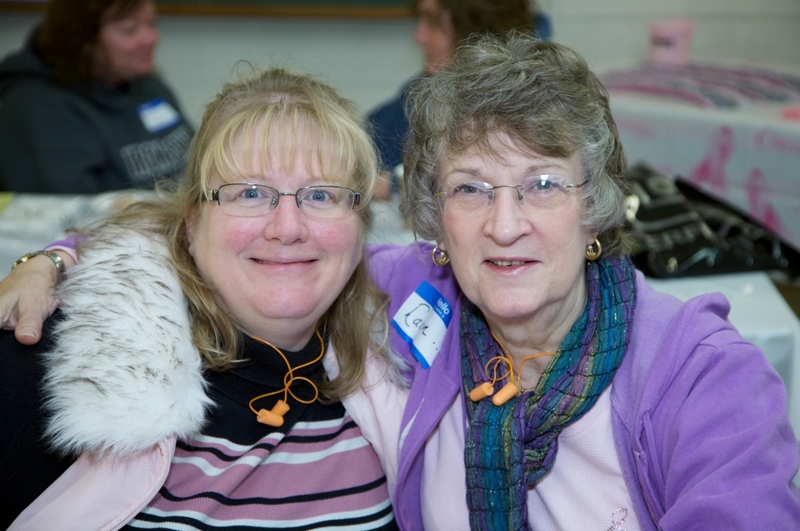 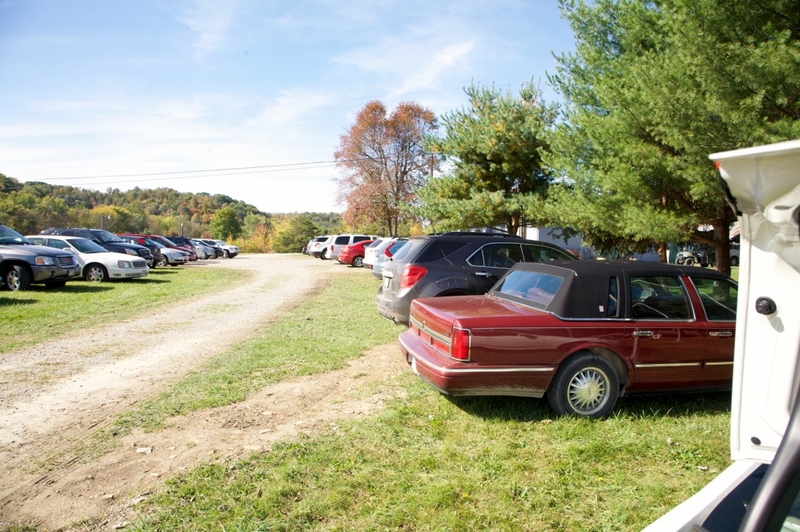 We have hundreds of pictures posted! 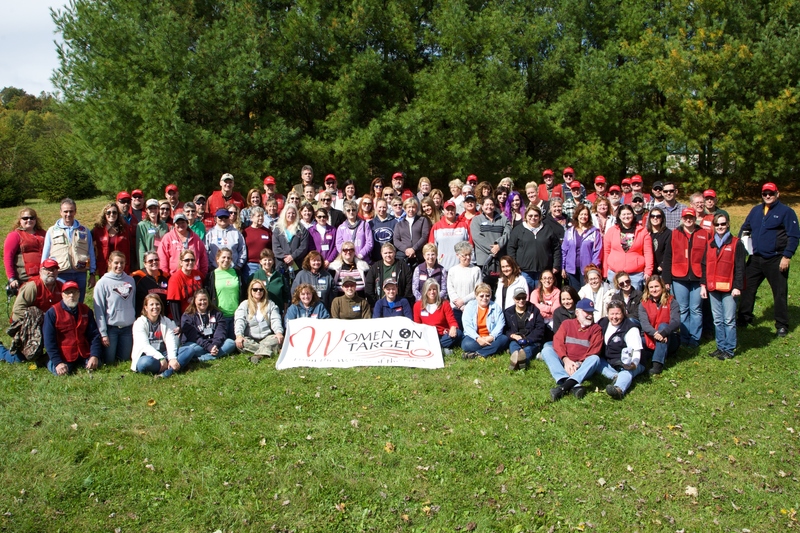 Thank you all again and please plan on joining us in 2015!